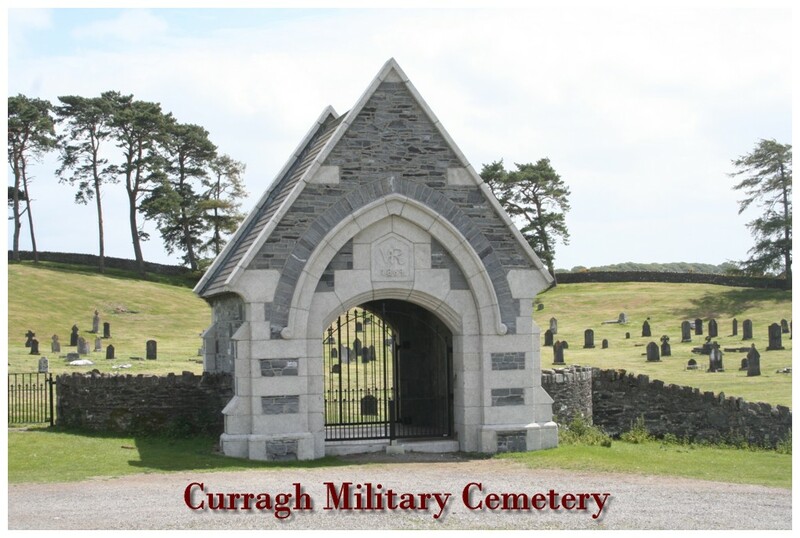 The following information about The Curragh cemetery was forwarded to me by Mick Dolan. 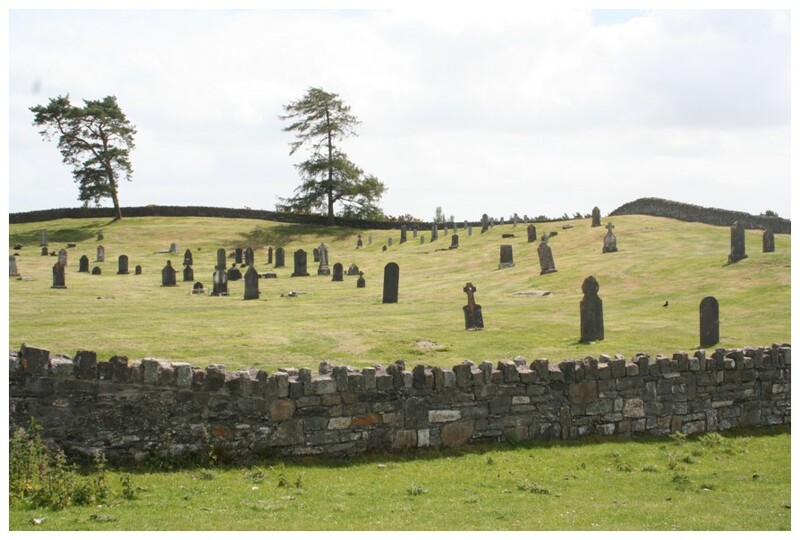 While Mick was attached to The Curragh on a training course in 2003 he transcribed all the headstone and inscriptions it the cemetery. This process took him a little over a month to complete and has given us here on the site a vital piece of Curragh History. Not only did he compile a list of the military dead, but he has also compiled a list of all the family members, women and children. A read through the family list gives an insight into the times and the sadness that many families endured while stationed on The Curragh. The complete list will be useful to many people researching their family roots as it gives a good account of the Regiments stationed in The Curragh at the time. 1880. 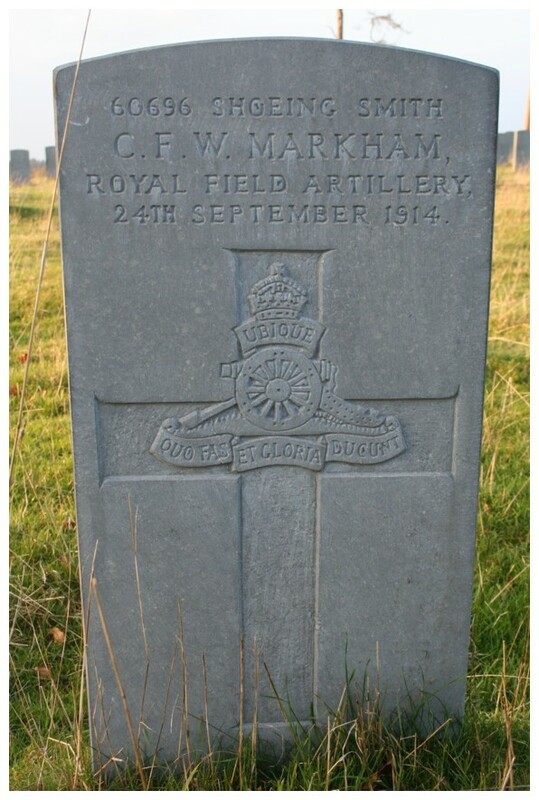 Erected by their comrades Depot Battery, 3rd Brigade, Royal Artillery." aged 21 years. 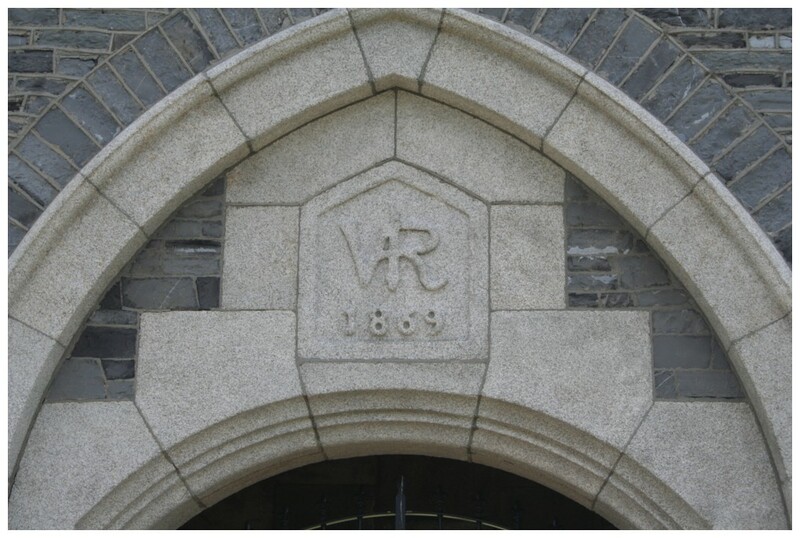 This stone was erected by their comrades of A Company." 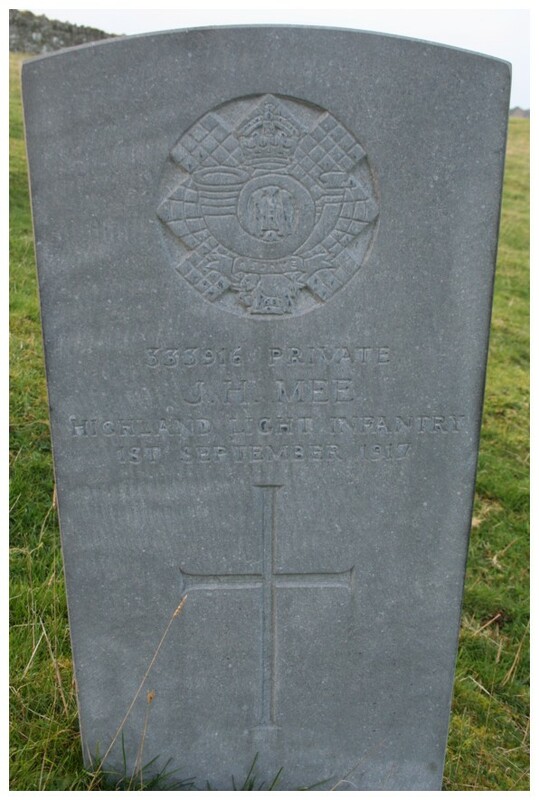 "In memory of Private Edward Cummings 2nd D.G. who died 5th Feb 1876 aged 19 years. Also Private Richard Morris who died 21st April 1876 aged 21 years. Erected by their troop comrades as a mark of respect." "Sacred to the memory of the following N.C. Officers and Men of the 10th Royal Hussars who died during the regiments stay at Newbridge. 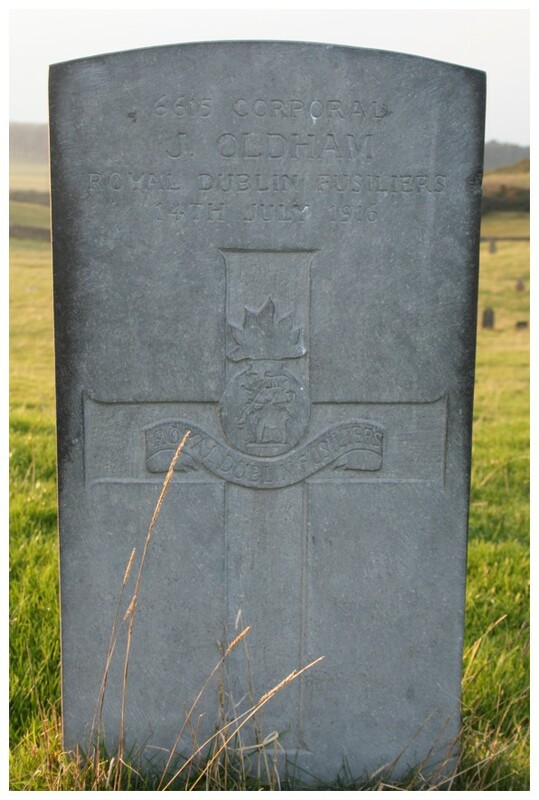 SQMS Charles Patrick Elam died 16th March 1897 aged 31 years. 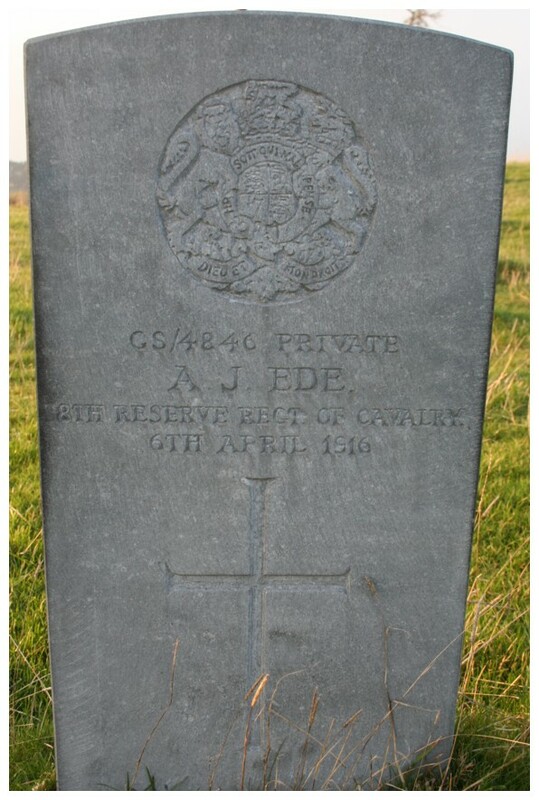 Sergt Fredrick John Page died 11th February 1897. 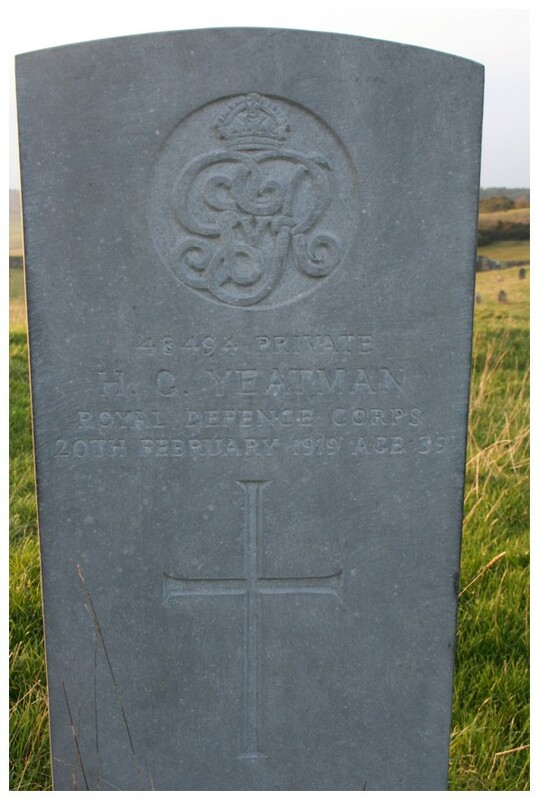 Bandsman Thomas Chapman died 31st October 1896 aged 21 years. 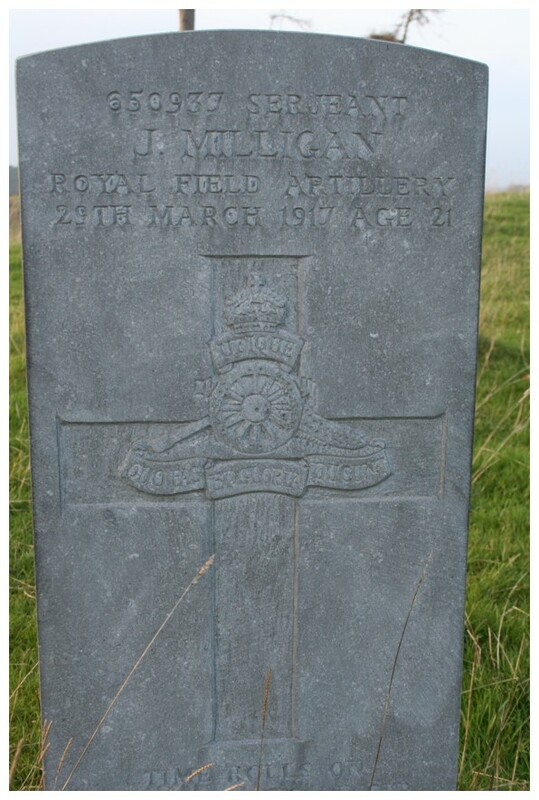 Private Alfred Andrews died 8th February 1897 aged 19 years." 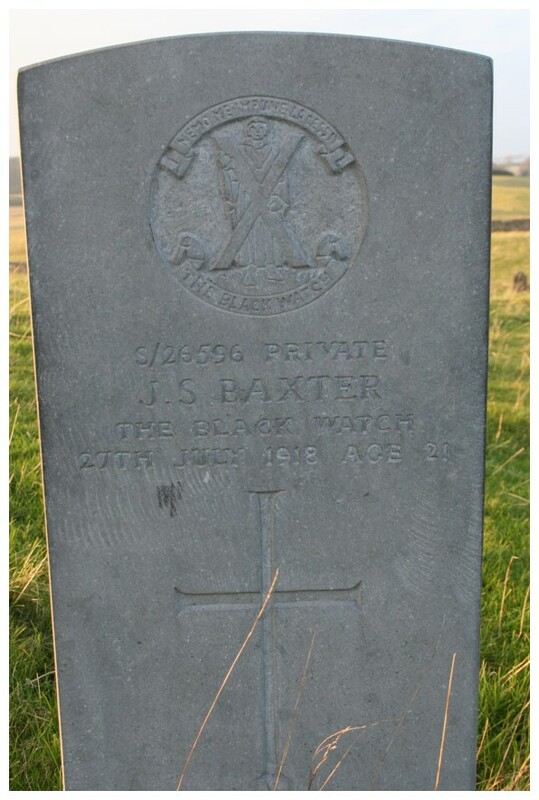 "Sacred to the memory of Sapper Baxter R.E. who died 26th March 1871 aged 39 years and of Sapper William Dandridge R.E. who died 5th April 1874 aged 34 years. Erected by the N.C. Officers and Sapper 31st Company R.E. as a mark of respect to their comrades. Also Sapper Joseph Woodhead R.E. who died 23rd August 1875 aged 41 years." who died 22nd March 1881 aged 22 years." who was accidentally killed at Newbridge on 21st Sept 1912 aged 22 years. Erected by the Officers, NCOs and Men of 112 Battery RFA." who died 31st December 1895 aged 21 years." "Sacred to the memory of Arthur Bishop R.H.A. born at Stamford, Nottingham. 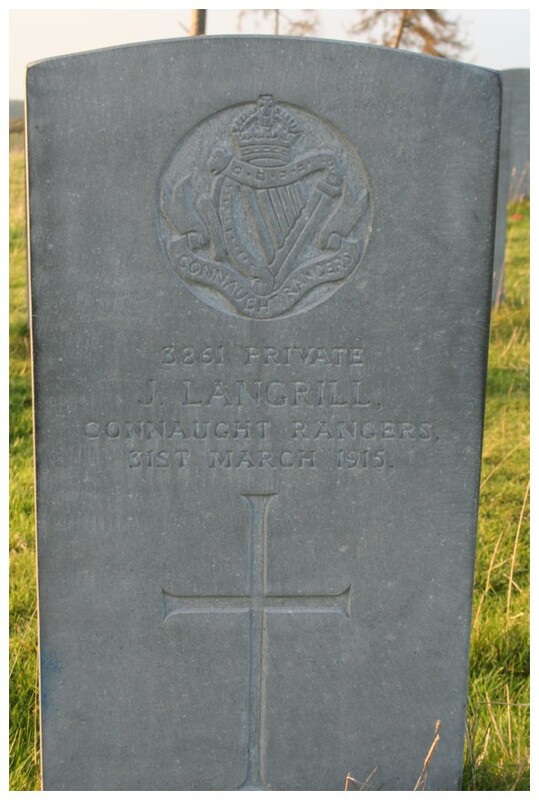 Died at Newbridge, Co. Kildare 9th June 1894 aged 44 years." 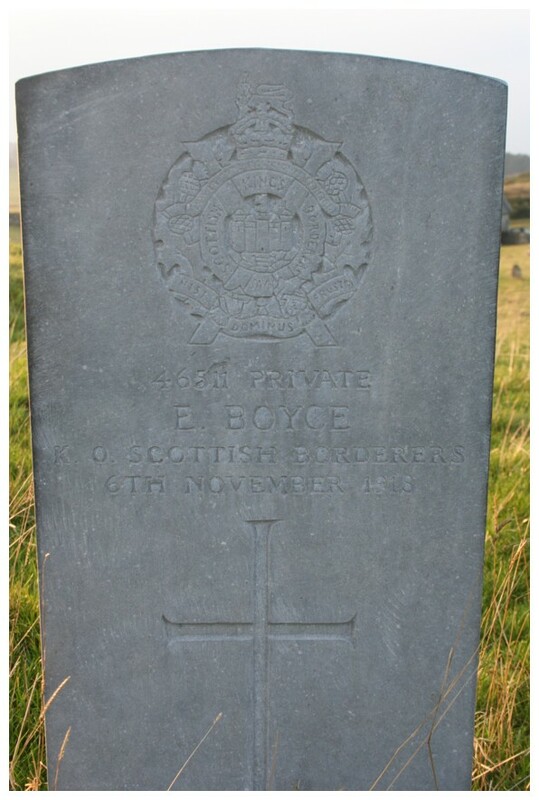 "In loving memory of Robert George Blackie Sergt R Battery R.H.A. 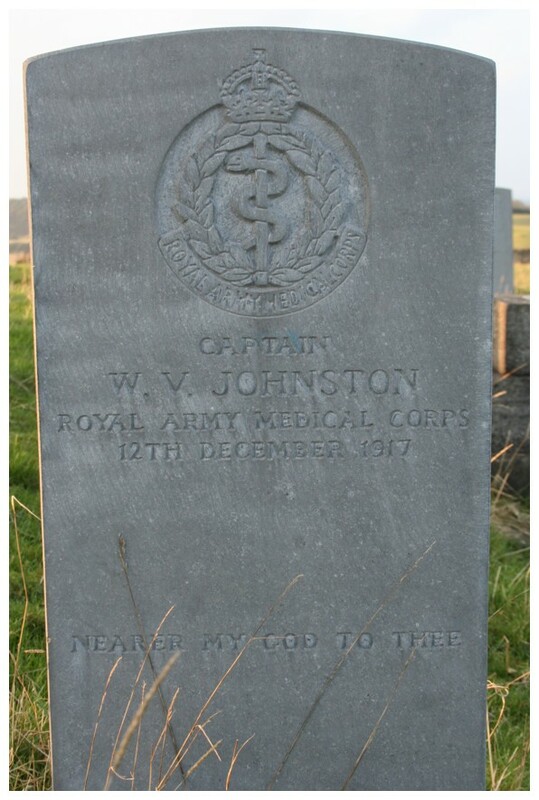 who died Decr 15th 1892 aged 29 years." 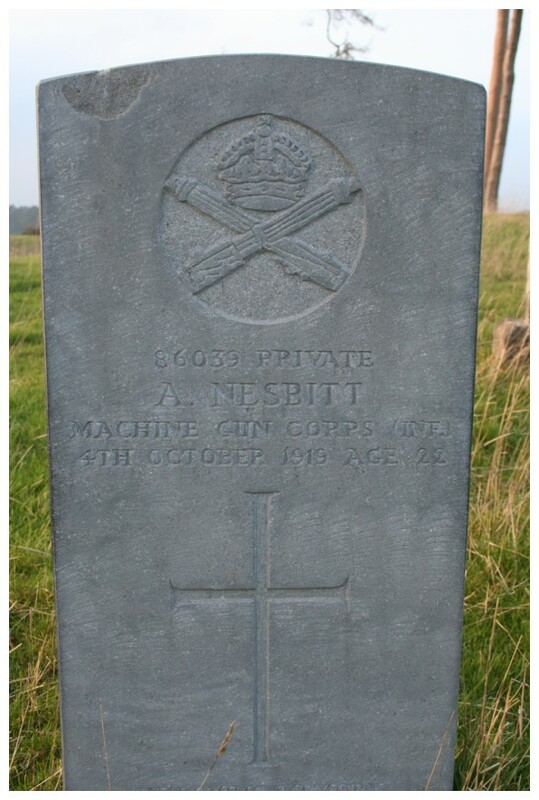 "In loving memory of Pte R. Booth A.S.C. who departed this life Decr 17th 1888 aged 44 years." as a final tribute of respect to the memory of a good and upright comrade." "Sacred to the memory of No. 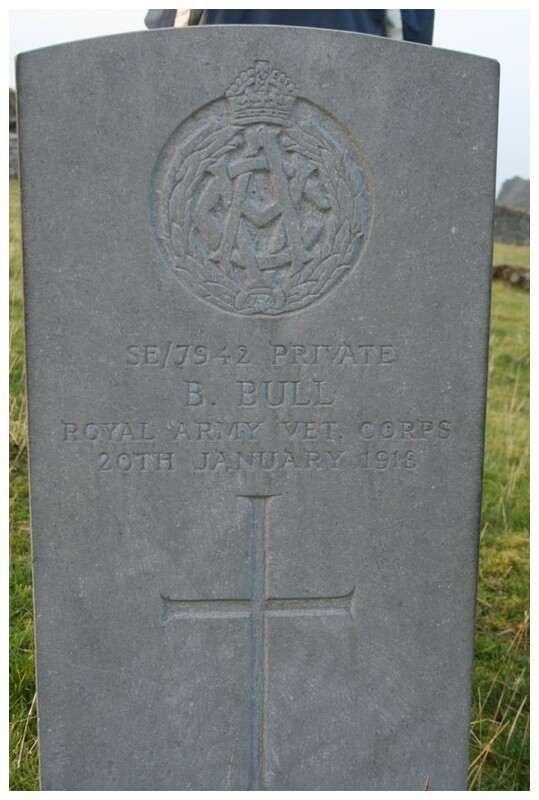 6298 Pte Arthur Percy Burton. 5th PCW Dragoon Guards. aged 36 years. This stone was erected by his comrades as a token of respect." 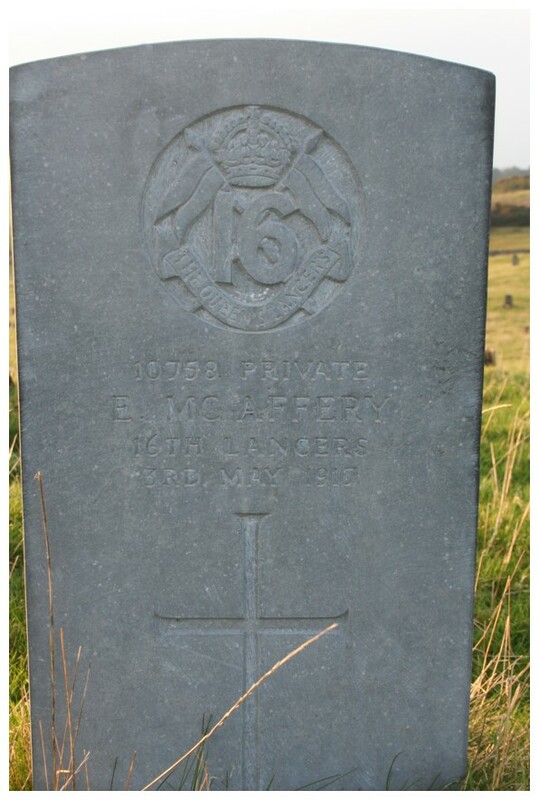 "In memory of Robert Butler Private D Coy 2nd Batt R. West Kent Regt who died 14th April 1885 aged 28 years. Erected by the NCOs and Men of the company as a mark of respect." 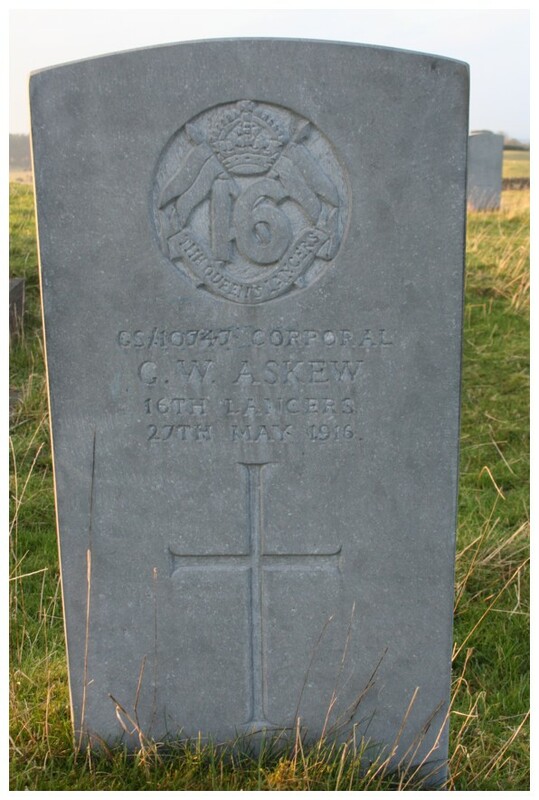 who died at Curragh Camp the 29th of Decr 1895 aged 31 years leaving a sorrowing widow and child. Erected by his brother Sergts and the Officers, N.C. Officers and Men of C Company as a token of respect." Inniskilling Dragoons by whom he was held in the highest esteem." "In loving memory of James Frankham Church (formerly Q.M.S. 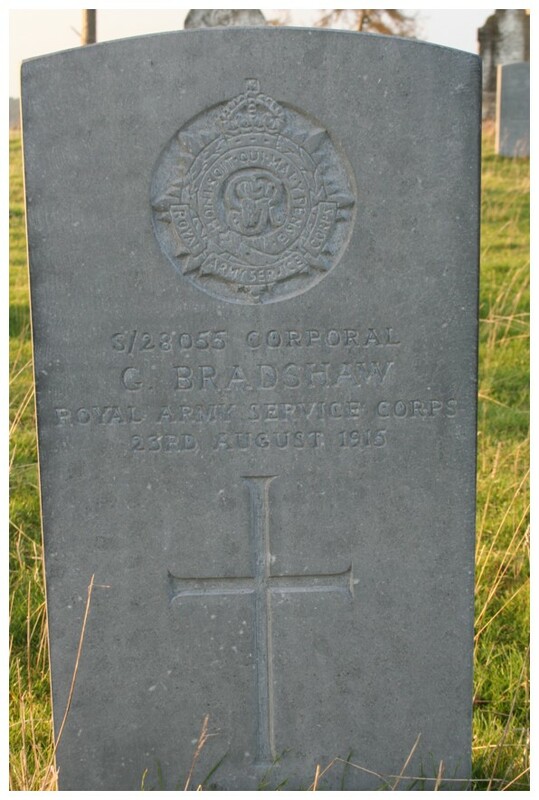 Instructor Royal Engineers) who departed this life at the Curragh Camp on the 15th March 1898 aged 70 years. Also his daughter Winnie who died 21st August 1880 aged 12 months. Not lost but gone before. 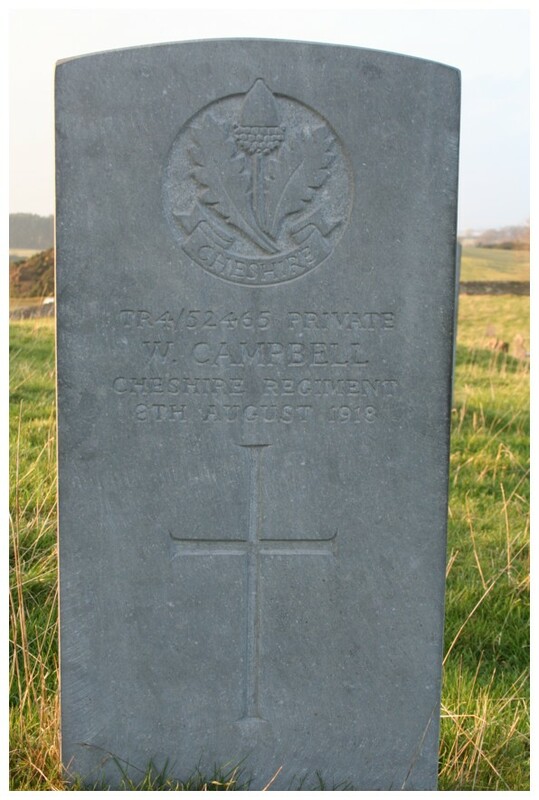 Also his wife Caroline who died 31st Oct 1919 aged 79 years. At rest. 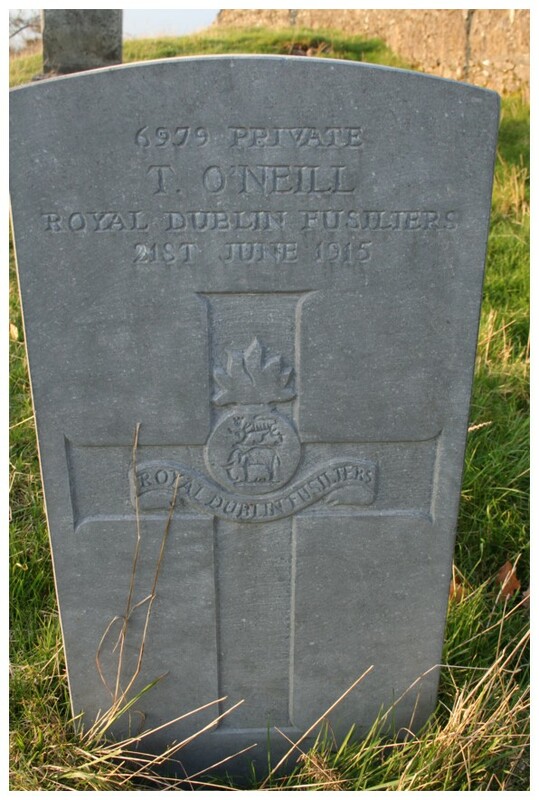 Also his son Frederick James Lieut Royal Dublin Fusiliers. Killed in Action in France May 1915." died 11th July 1894 aged 25 years. Erected by his brother Sergeants as a token of respect & esteem." 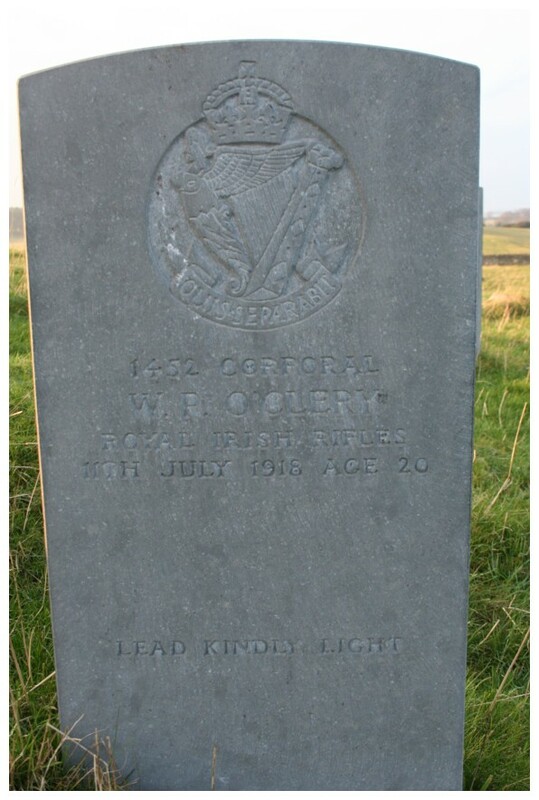 "Sacred to the memory of Trumpet Major Peter Coogan of the 8th Kings Royal Irish Hussars who departed this life on the 31st day of December 1871 aged 29 years. This monument is erected in affectionate remembrance by his brother Non Commissioned Officers by whom he was held in the highest esteem." 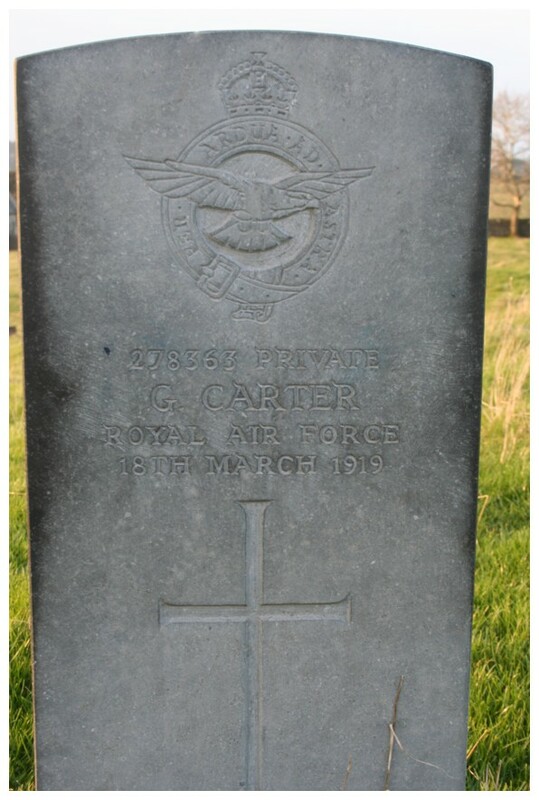 "In memory of Robert Courtenay Courtenay Lance Sergeant H.M. Duke of Cornwall's L.I. 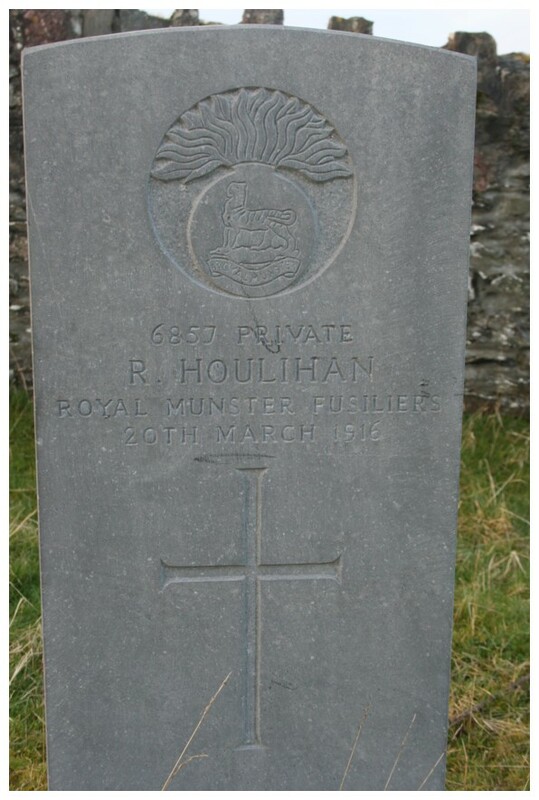 Eldest son of Robert and Henrietta Courtenay who died June 4th 1885 aged 30." "Sacred to the memory of George Leopold Coward. 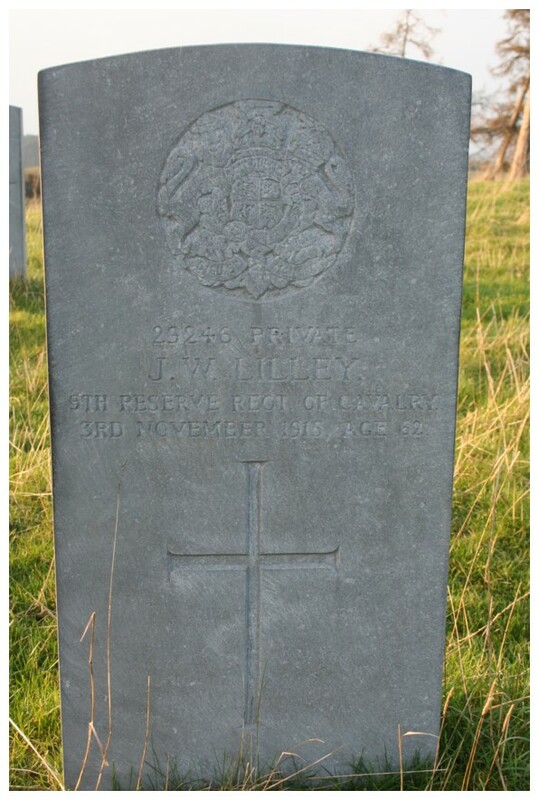 Qr Mr Sergeant Army Ordnance Corps who died 14th October 1908." 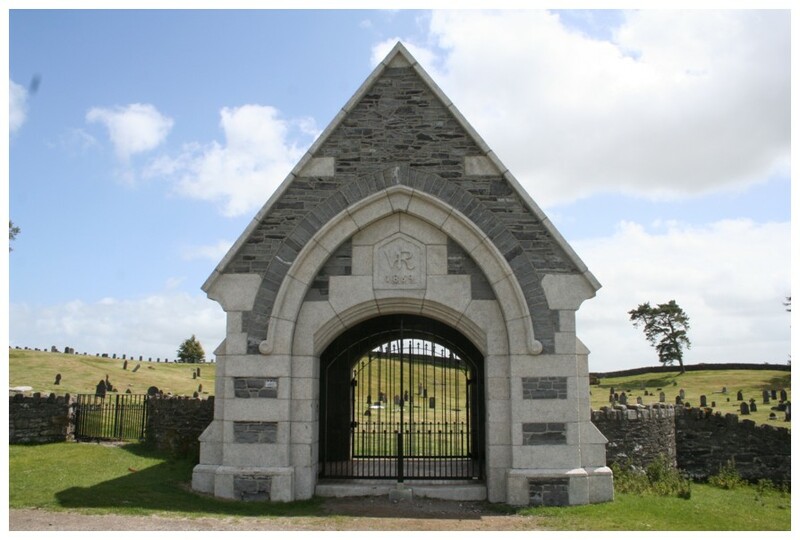 who died at the Curragh Camp 25th August 1870 aged 35 years. This stone was erected by the Officers Non Commissioned Officers and Men of the battery." Manchester Regt. 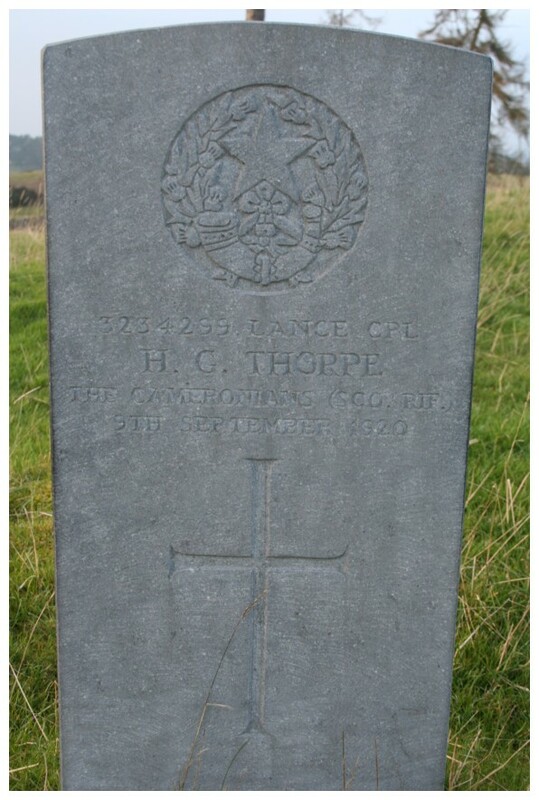 Died at the Curragh on 17th Oct 1911. Erected by his comrades." 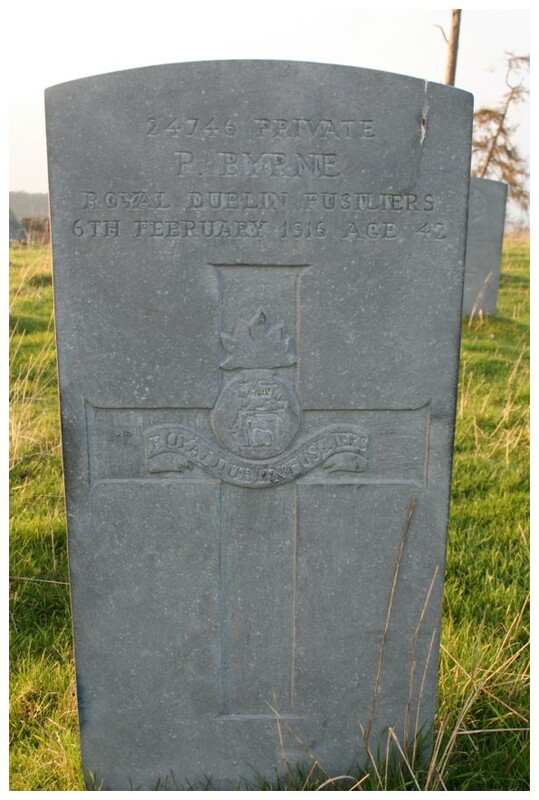 "In fond remembrance of Bombr William Dempsey 2nd Bde R.A. Died 2nd August 1887 aged 38 years. Also his two children William and John Baptist who died young. Erected by his sorrowing wife Eliza Dempsey." African War 1899-1902. 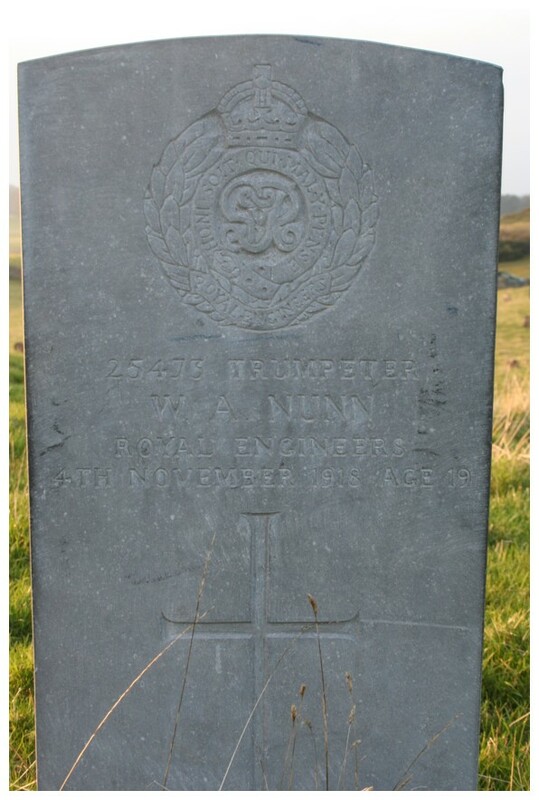 Erected by his comrades, Sergeants and band of the Regiment." 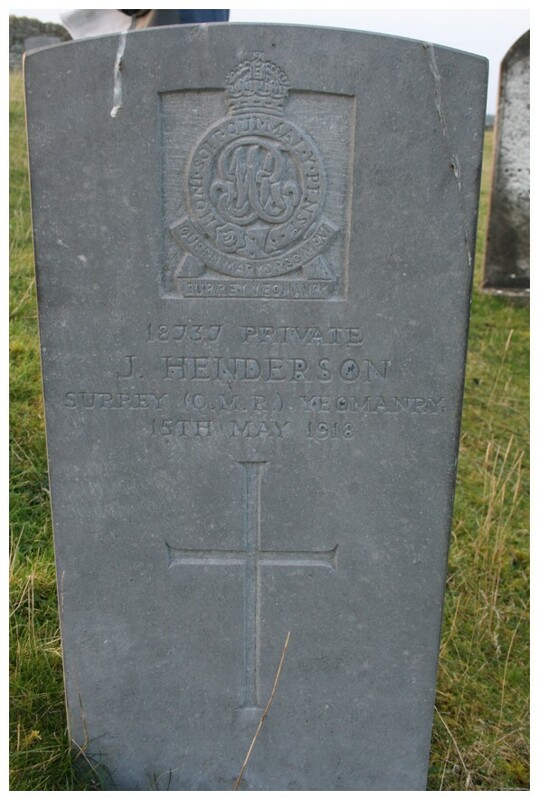 "In affectionate remembrance of Thomas Donoghue late Sergeant Major Supply Branch Army Service Corps who departed this life 26th June 1878 aged 44 years." "Sacred to the memory of Gunner Harry Eggett. R.H.A. Died 6th April 1914. Aged 21 years." 21st Dec 1899 aged 35 years. Erected by the Sergeants as a mark of respect and esteem." "In beloved memory of my husband, William J. Evans, DCM. Quartermaster 5th Leinster Regiment. Died May 27th 1916. Aged 47 years." "Frank Bell Fancourt SQMS ASC. Age 35. Died 5th May 1908." 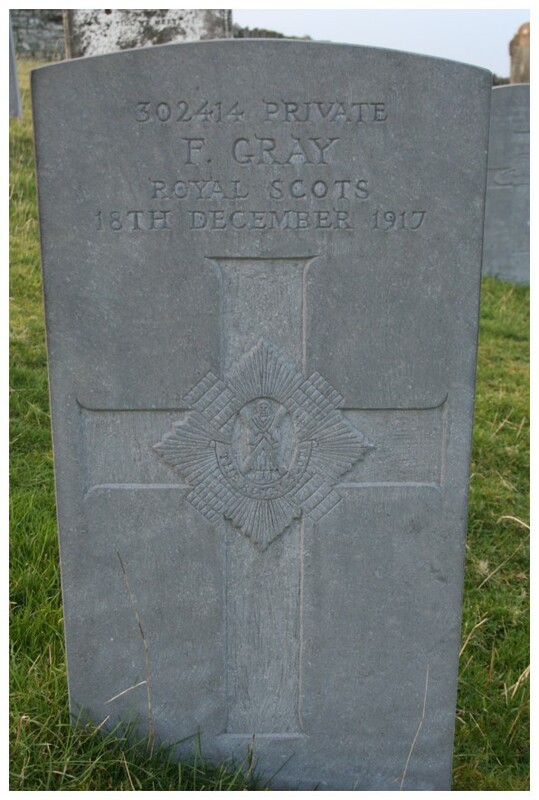 who died at the Curragh Camp 19th August 1910 aged 41 years." who died 18th August 1893 aged 32 years. Erected by his brother Non Com Officers as a token of esteem." "Erected By Harriett Gadd in memory of her fond husband John Gadd late of the 2nd Battalion 4th King's Own Royal Regiment died 12th April 1877 aged 36 years." 26th June 1874 aged 35 years. Erected by his brother comrades." "To the memory of John Stephen Gandee (Late Bandmaster) 1st Bn The Prince of Wales's North Staffordshire Regt who died 5th Day of Jany 1920 aged 63 years. Erected by the Officers, Wos, NCOs and Men of the Regt." 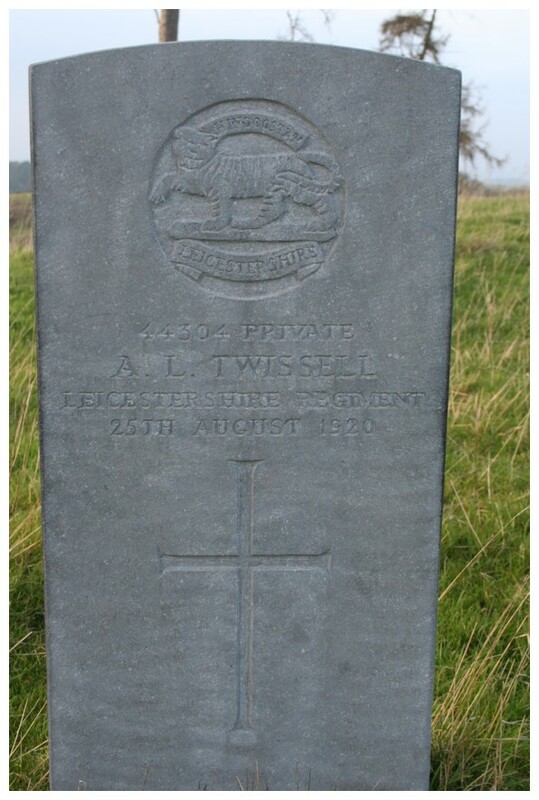 who died at Curragh 22nd May 1903 aged 22 years." Commissioned Officers and Privates of the Regt and by his sorrowing father." 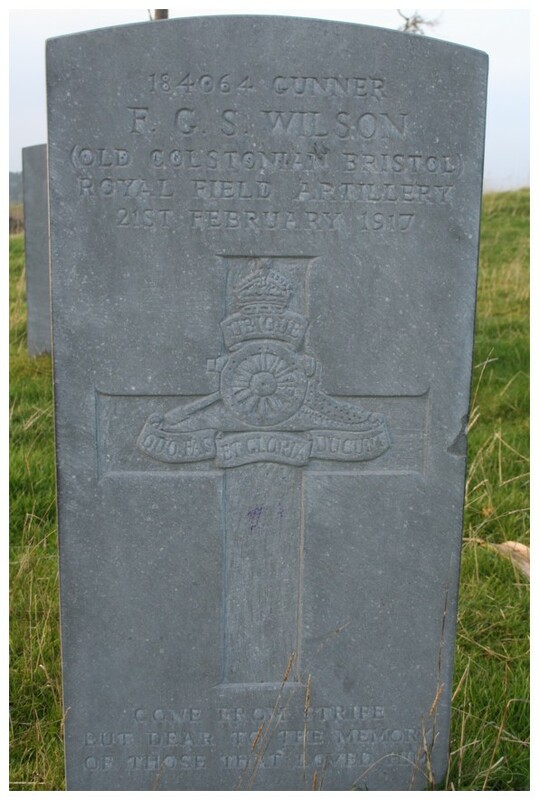 "In loving memory of Thomas Frederick Godsell late Royal Welsh Fusiliers died 16th May 1901 aged 35 years." "In loving memory of Sapper Richard H. Good R.E. born at Beer, Devonshire. 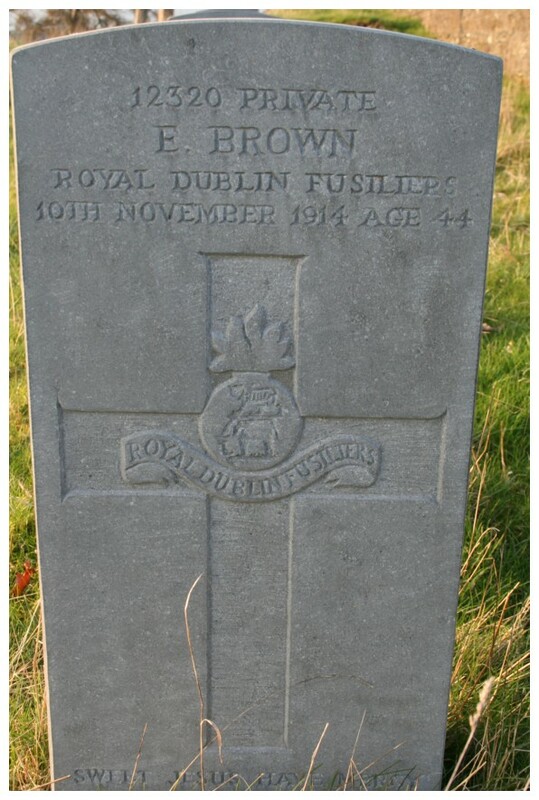 Died at Curragh 1st September 1896 aged 22 years." 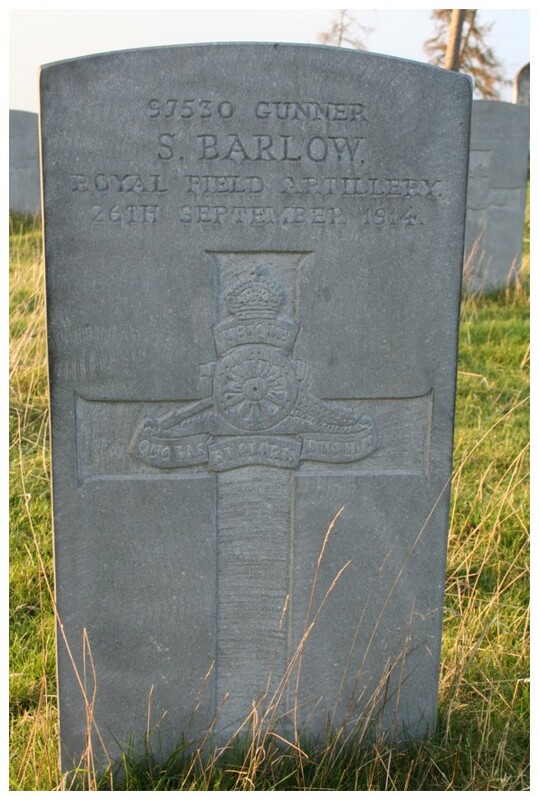 "In affectionate memory of Edwin Goodwin a Pte of the So Stafford Reg who departed this life the 1st of March 1890 aged 25 years. This stone was erected by the Officers N.C. Officers and Men of his Coy as a mark of respect and in loving memory of their lost comrade." 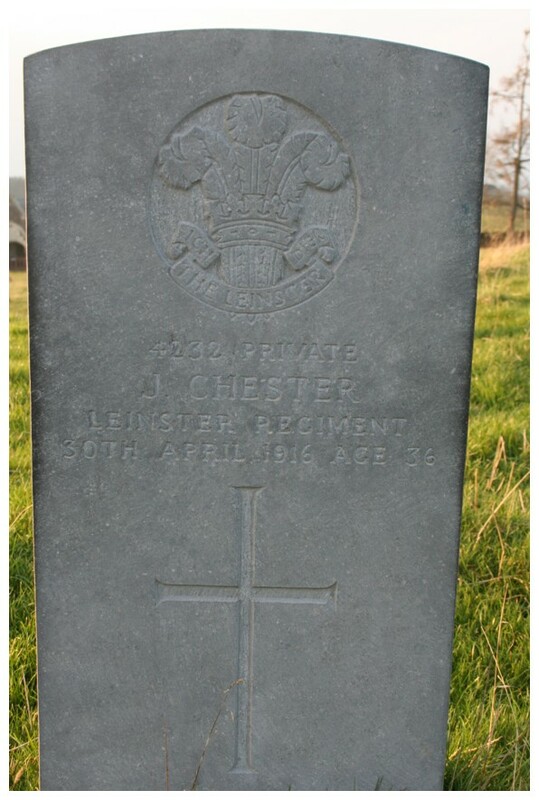 "In memory of Sergt F. Green King's Own Regt Died July 15th 1890 aged 38 years." 18th Dec 1887 aged 34 years. Erected by his brother Sergeants." "Sacred to the memory of Quartermaster J. Hannan 27th Inniskilling died 25th Jany 1874 aged 38 years. Erected by his brother officers as a token of their esteem." "Erected by the Officers, Non Commissioned Officers and Men of 2nd Batt Coldstream Guards to the memory of Lance-Corporal Thomas Hanson who died at the Curragh Camp September 3rd 1872 aged 38 years." 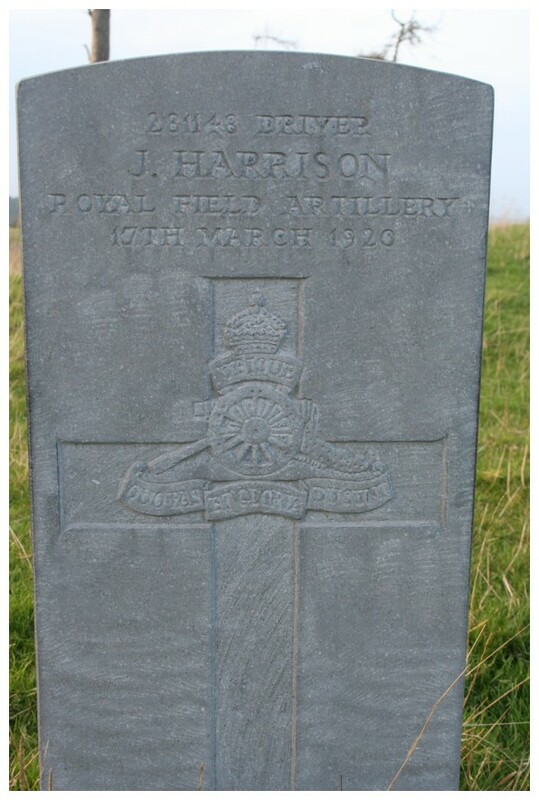 "Sacred to the memory of No 5185 Pte F. Harris, 5th Dragoon Guards. Died 19th Sept 1911 aged 21 years. Erected by his comrades." October 1917 aged 42 years. Erected by fellow officers of the 194th Infantry Brigade." "In loving memory of No. 2039 Trooper Alfred M.E. Herrig. 2nd King Edwards Horse. Born Oct 14th 1897. Died July 11th 1918. Thy will be done." 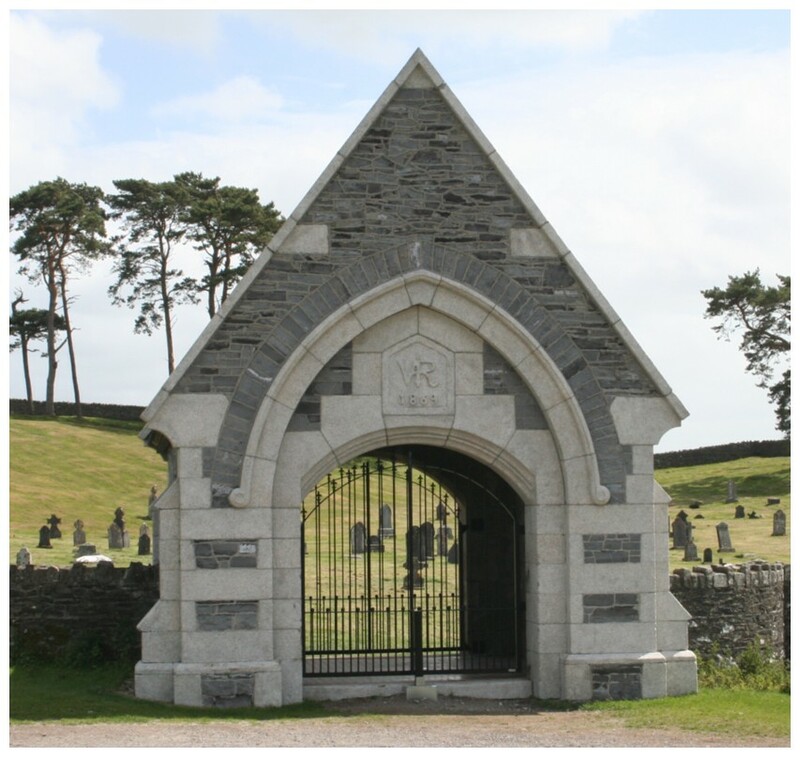 "Sacred to the memory of Corporal John Hicks Inniskilling Dragoons who departed this life at Curragh Camp on 22nd June 1874 aged 35 years. This tablet is erected by the Officers, Non Commissioned Officers and Men of the Troop to which he belonged as a mark of the regard and esteem in which he was held." "In loving memory of Color Sergt Stephen Hilliar 1st Battalion Coldstream Guards who died at the Curragh Camp 31st May 1881 aged 36 years. Erected by his sorrowing Widow and brother Sergeants." 26th March 1909. Erected by the Officers, WOs, NCOs and Men." "Sacred to the memory of John Hobbs who served for 12 years in the 2nd Batt 19th Regiment. 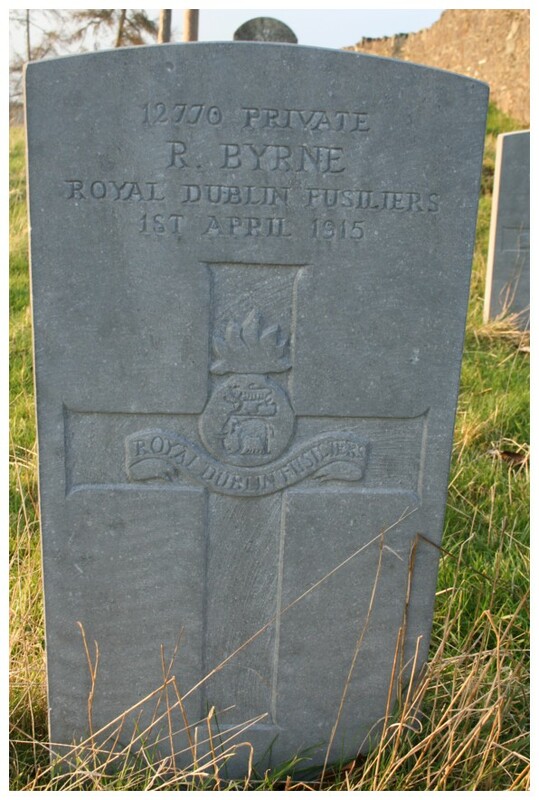 Died at the Curragh Camp 3rd May 1884. Deeply regretted by all his comrades." who died of disease contracted in France. 21st August 1916. Aged 47." 21st February 1872 aged 32 years. Erected by his comrades as a mark of their esteem." who died 5th June 1901. 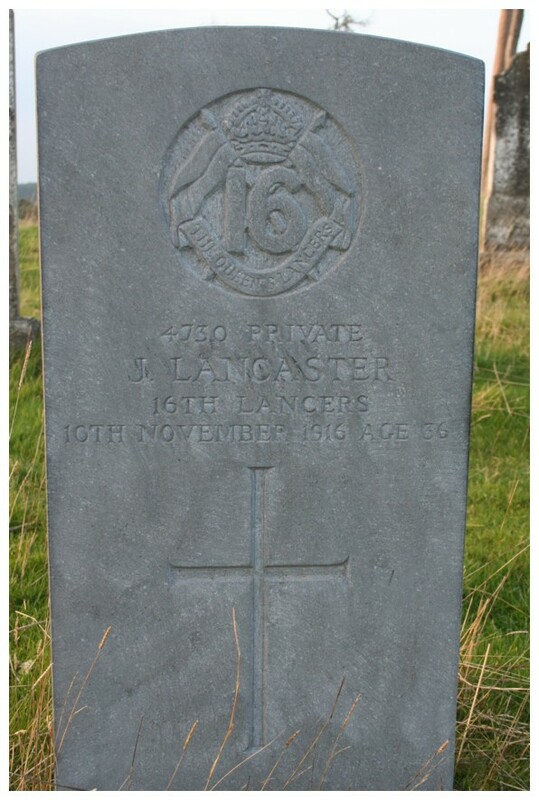 Erected by the Sergeants 21st (E of I) Lancers as a token of esteem." 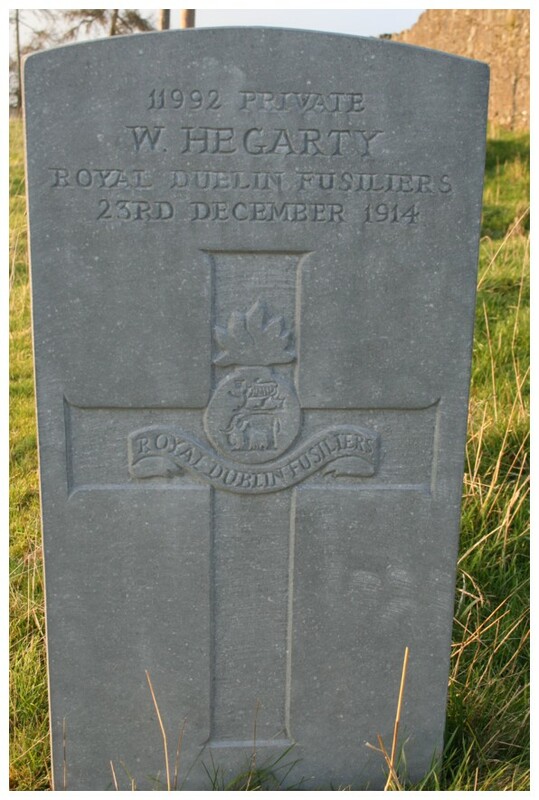 Curragh 5th January 1904 aged 22 years." 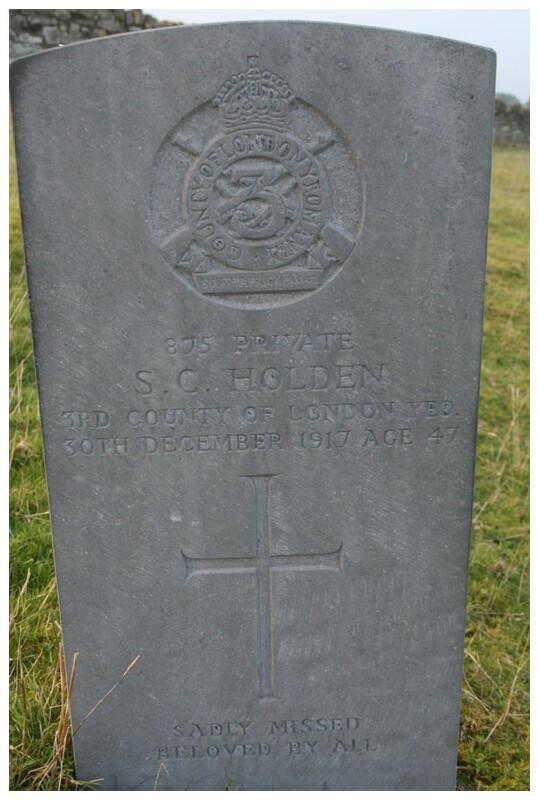 "In memory of Sergeant E.H. Hudson Royal Scots Greys who died at Newbridge 8th June 1892. Erected by his brother N.C. Officers." "In memory of Captain Charles Whitmore Isaac 38th (1st Staffordshire) Regiment who died at Kildare on the 3rd May 1879 from the affects of a fall from his horse aged 32 years. Erected by his brother Officers." 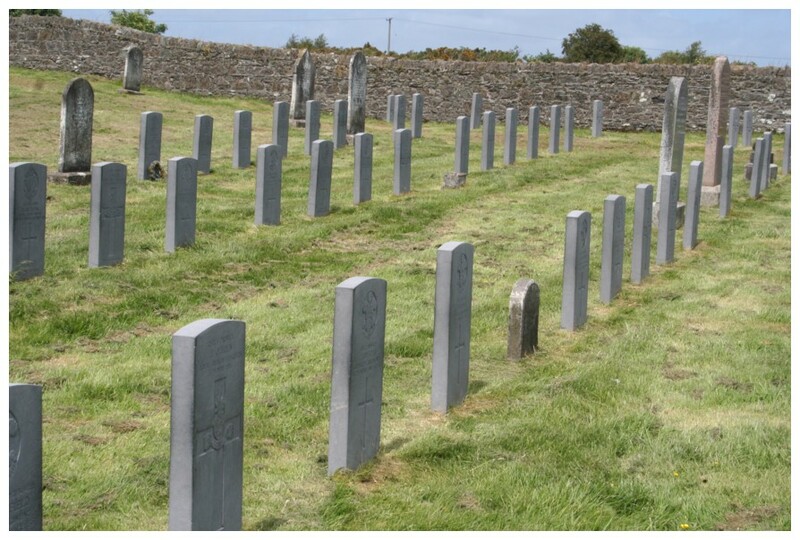 who died at Curragh Camp 18th July 1889 aged 27 years." 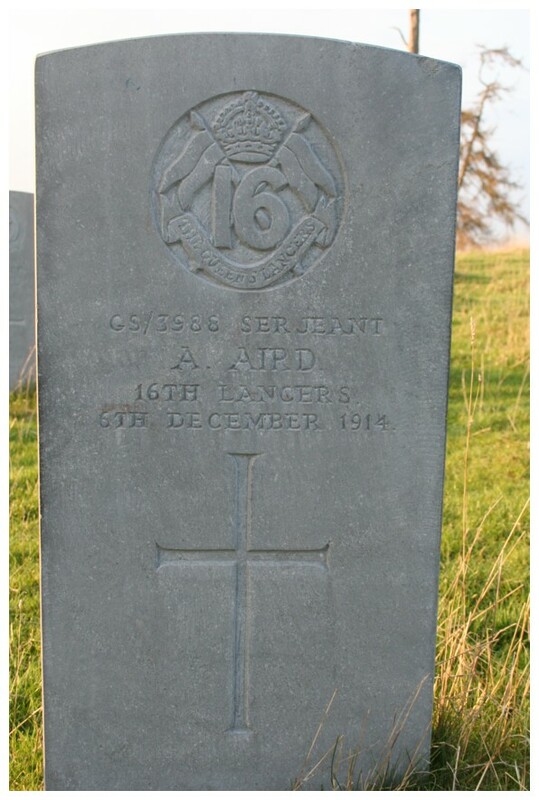 "To the memory of No 858 Pte D. King who died 10th Augst 1913 aged 25 years. 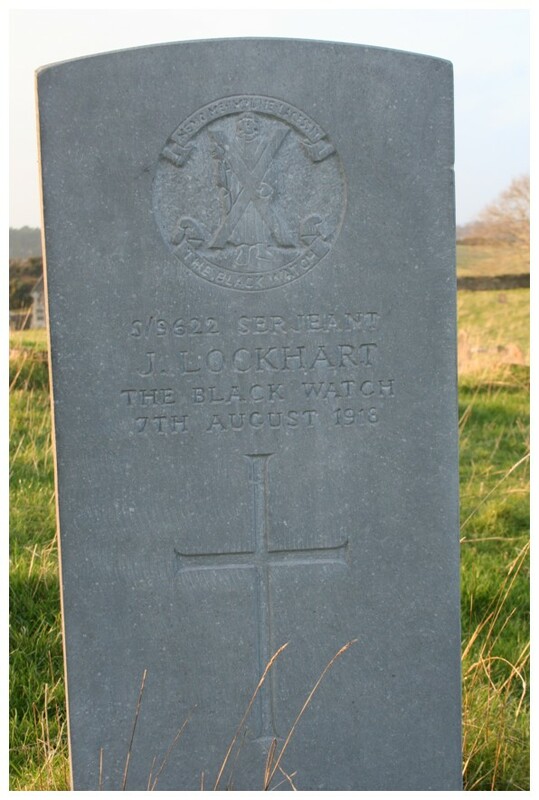 Erected by the Officers, NCOs and Men DSOd 16th Lancers." 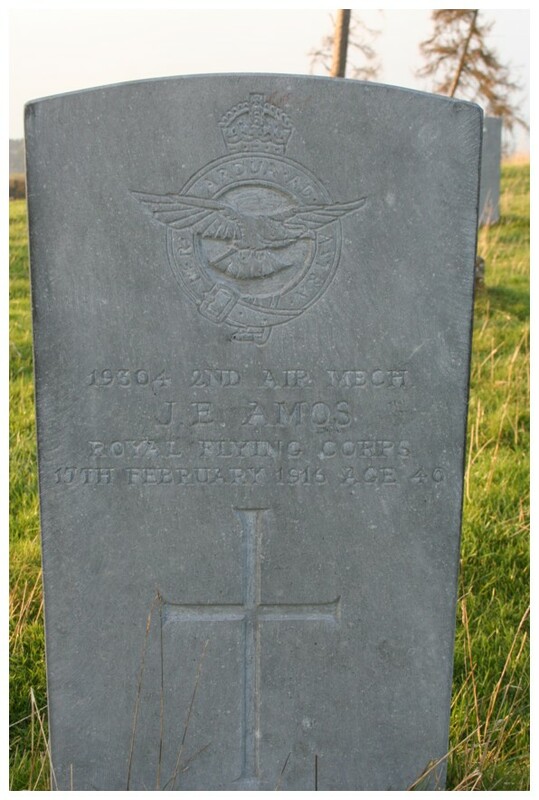 "Sacred to the memory of Bk Sergt James Lawless late 31st Regt died 10th April 1874 aged 57 years. Also Michael Grennan died 11th October 1881 aged 92 years and of Mary Ann Lawless the beloved daughter of James & Catherine Lawless died 21st March 1887 aged 29 years." "In memory of John Maguire Sergt. 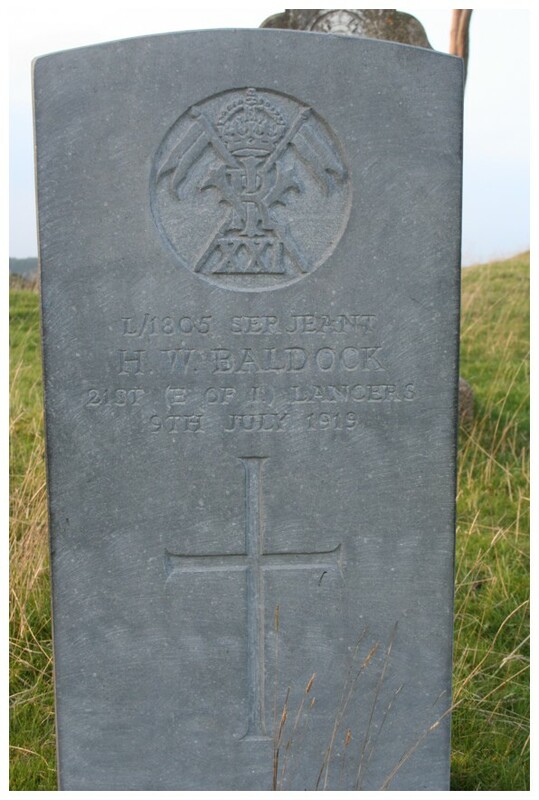 2nd Dragoon Guards aged 38 years died 5th April 1876. Was erected by his brother Non Com Officers." 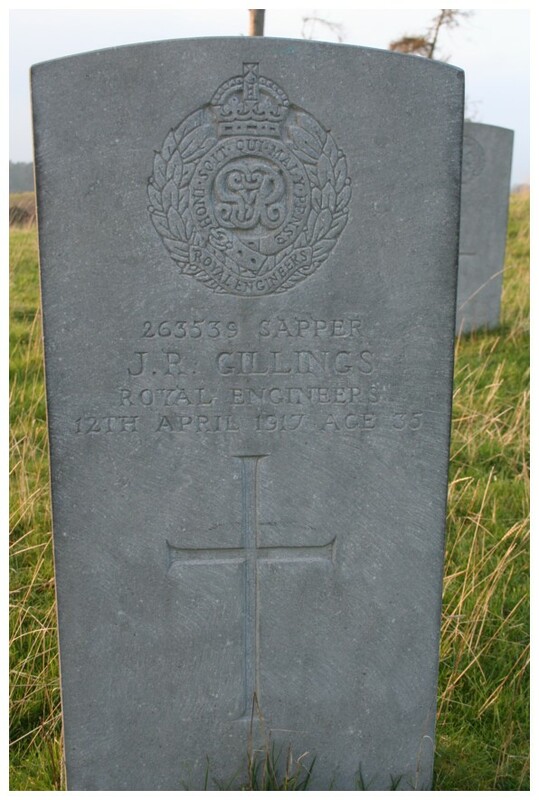 "In loving memory of No 867 Drummer Alfred William Manning who died at the Curragh Camp 31st March 1887 aged 17 years. Of the Suffolk Regiment. Erected by his brother." 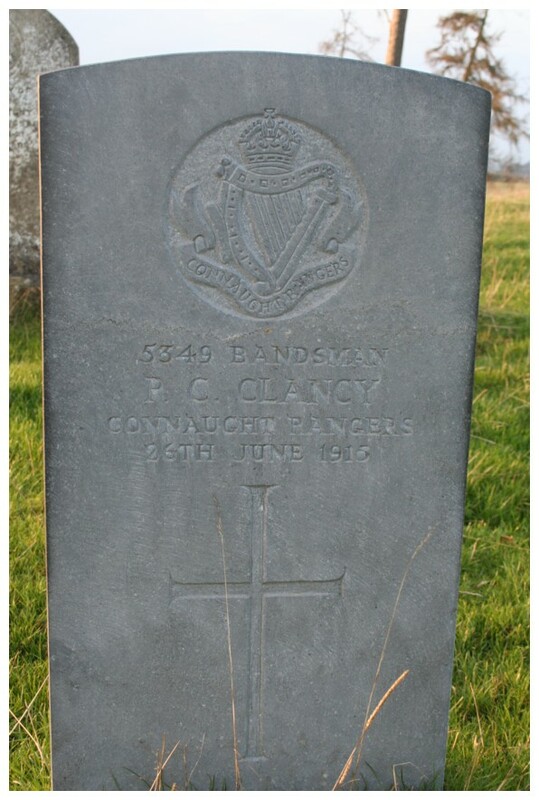 died at the Curragh Camp 12th March 1876 aged 35 years. Erected by his brother Sergeants." 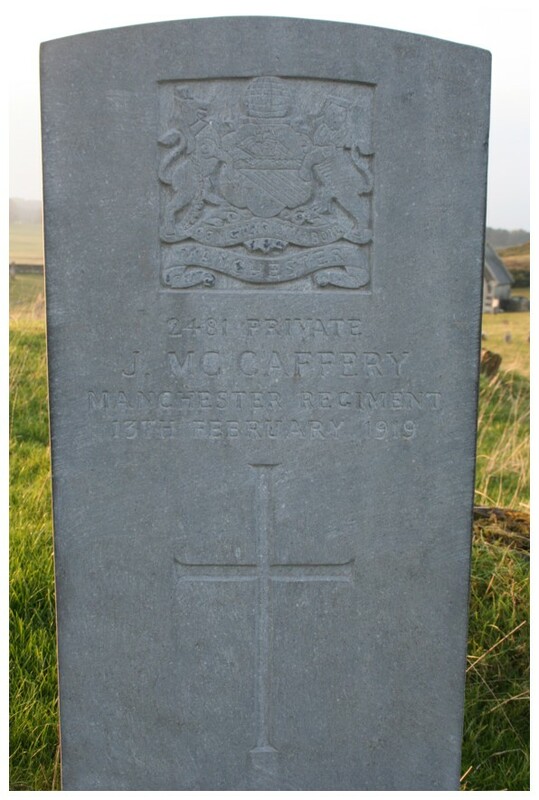 "Pte Thomas McGovern 34th Regt who died 19th Sept 1872 aged 34 years. This stone is erected by the Officers and Men of his Company as a mark of respect." 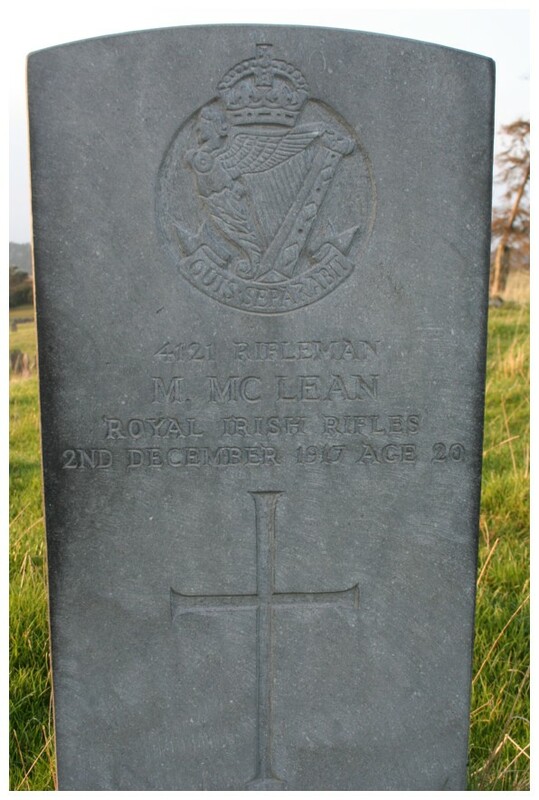 "In affectionate rememberance of Pte John McKean 2nd Leicestershire Regiment. Erected by his comrades as a token of respect." "Sacred to the memory of Private Donald McLeod 1st Batt Seaforth Highlanders who was accidentally killed on the 12th December 1889 while serving with the Mounted Infantry aged 22 years. This stone was erected by the Officers, Non Commissioned Officers and Men of No 1 Company 2nd Mounted Infantry Regiment." who was killed on duty 20th March 1914 aged 20 years. Erected by the Officers, NCOs and Men of 16th Lancers. Duty done." departed this life 26th July 1906. This stone is erected by his comrades." 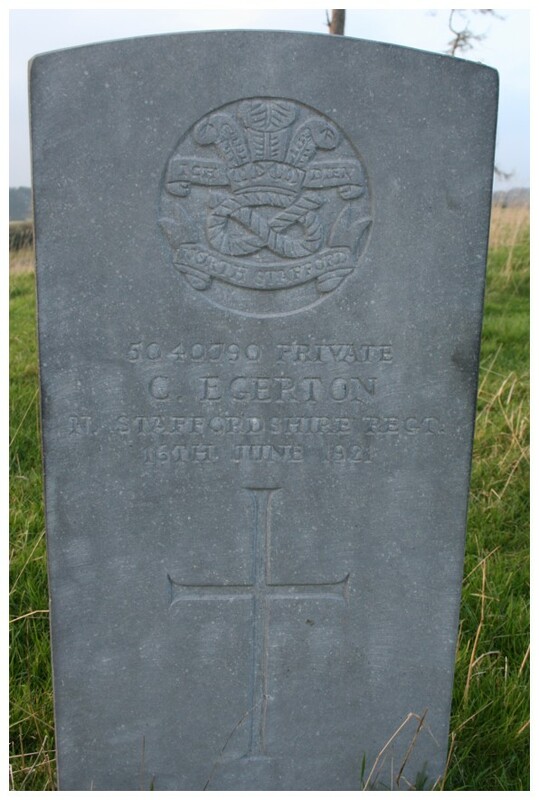 "In memory of Lieutenant-General Sir Gerald De Courcy Morton KCIE CVO CB Born February 7th 1845 Died at the Curragh April 20th 1906 while commanding the 7th Division. This memorial is erected by comrades at home and abroad with whom he served in his long and distinguished career of 45 years to mark their affectionate rememberance of a noble character and a simple gentleman." 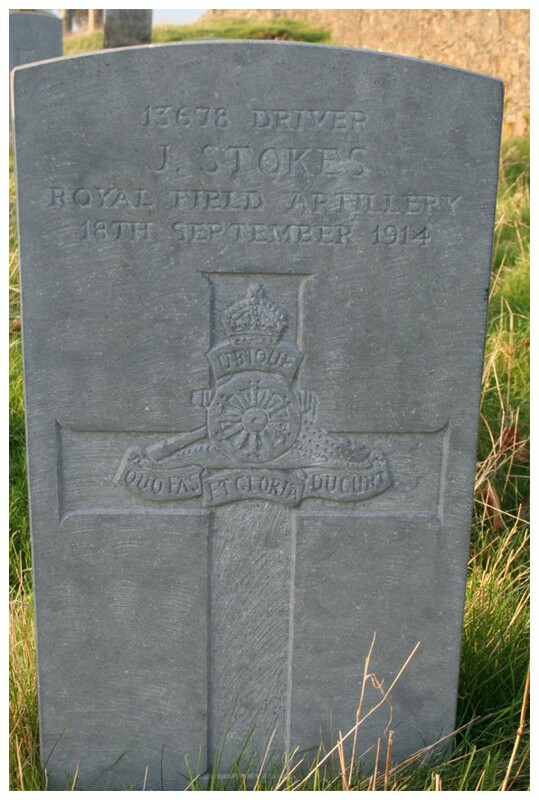 "Sacred to the memory of Lance Corp Arthur O'Shea 1st Batt Royal Dublin Fusiliers. Died 8th April 1889 aged 18 years. Erected by the Officers N.C. Officers and Men of E Company." "In memory of Colour Sergeant Henry Parkins ? Company 2nd Batt 4th the King's Own Royals. who departed this life 27th May 1871 aged 59 years." "Sacred to the memory of Private George Quinn Died 27th June 1874 aged 41 years. as a mark of respect and esteem to a kind comrade." "In memory of Co Serjt Major W. Reeves 6th Co R.E. died 10th April 1880 aged 33 years. Erected by the NCOs and Men of the Compy as a mark of respect." 14th February 1900 aged 39 years." 17th August 1871 aged 42 years." 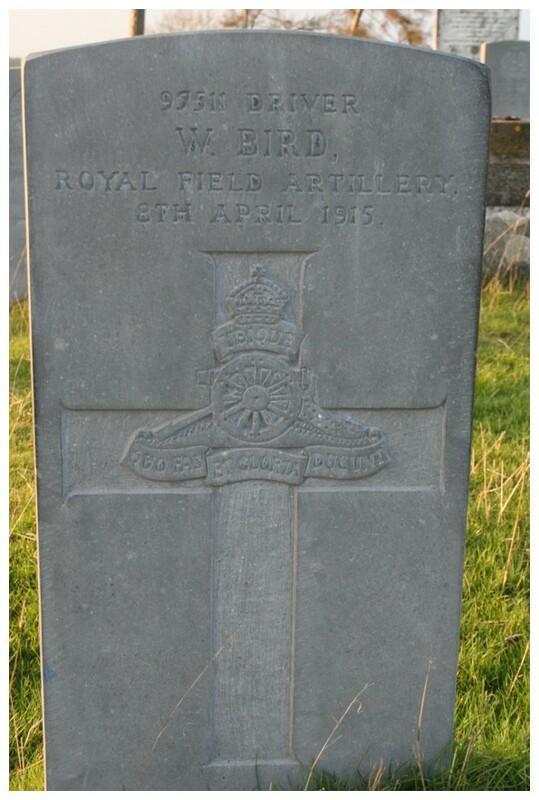 "Erected by the Officers Non Commissioned Officers and Men of O Battery 1st Brigade Royal Artillery in memory of Gunner Robert Scholefield who died at Newbridge on the 3rd April 1889 aged 36 years." died 8th November 1878. Erected by his comrades." beloved husband of Mary Seymour who died 14th April 1905 aged 26 years." 1903 in his 21st year. Erected by his comrades." 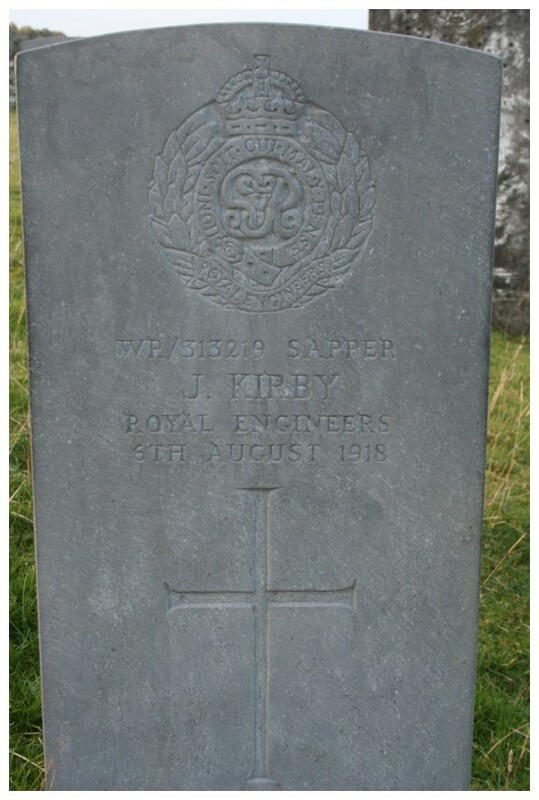 "In memory of Lieut E. Shurrey, The Welsh Regt. Who died 18th July 1912. This stone was erected by his brother officers." 5th Decr 1882 aged 37 years. Erected by his brother Sergeants as a mark of esteem and respect." who departed this life on the 25th March 1882 aged 29 years. 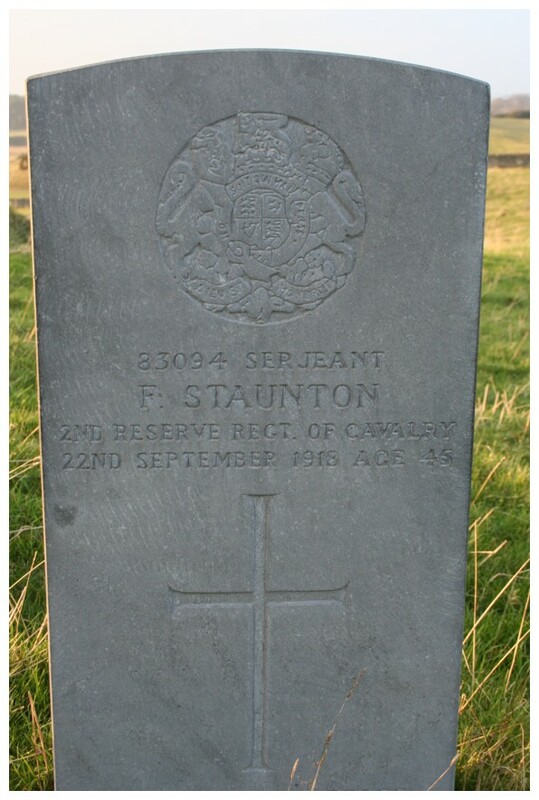 This stone is erected by the Officers and Sergeants 2nd Batt Royal Sussex Regiment as a mark of estem." who died 1st January 1882 in his 34th year." 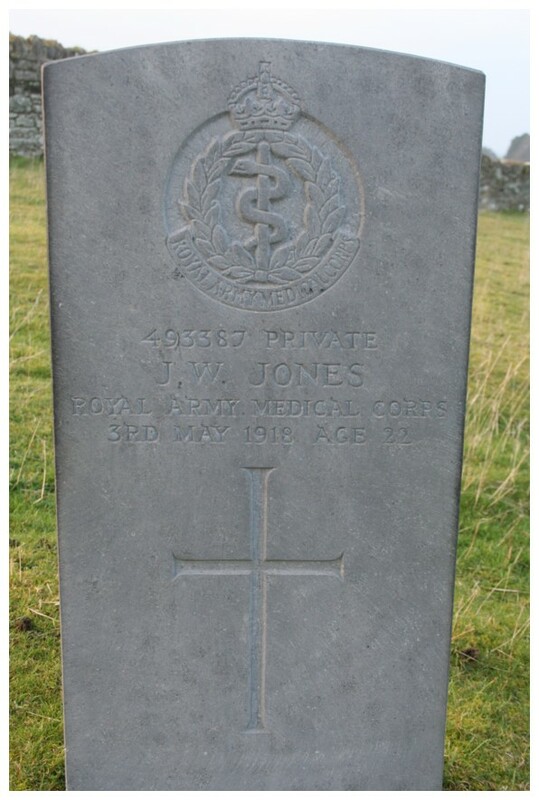 "In memory of Rev James Spiers Chaplain to the Forces died 16th September 1890 aged 74 years. Margt Neilson Spiers wife of the above named died 9th November 1896 aged 76 years. 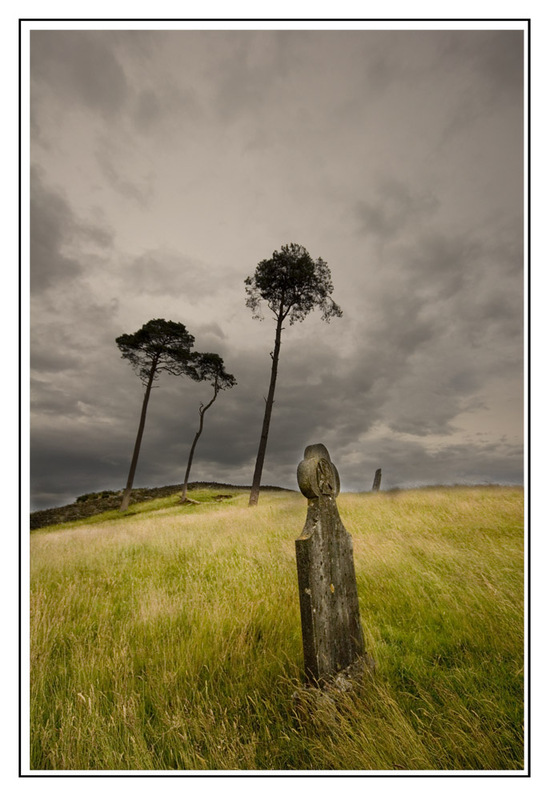 Erected by the Royal Scots Greys, 2nd Gordon Highlanders and a few other friends." 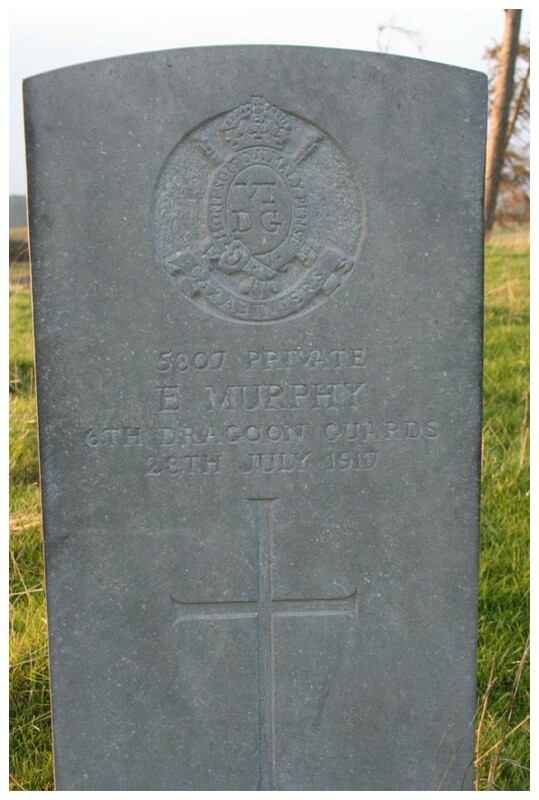 "In memory of Joseph Stapps VIIth Compy R.E. who died at the Curragh June 12th 1888 aged 27 years." aged 20 years. Erected by the Officers N. C. Officers and Men 2nd Battn Coldstream Guards." "Sacred to the memory of No. 4501 Private W.K. Thorne. 5th Dragoon Guards. Died 5th May 1911 age 33 years. Erected by his comrades." Curragh 11th March 1896 aged 20 years. Erected by the officers and men of his company." 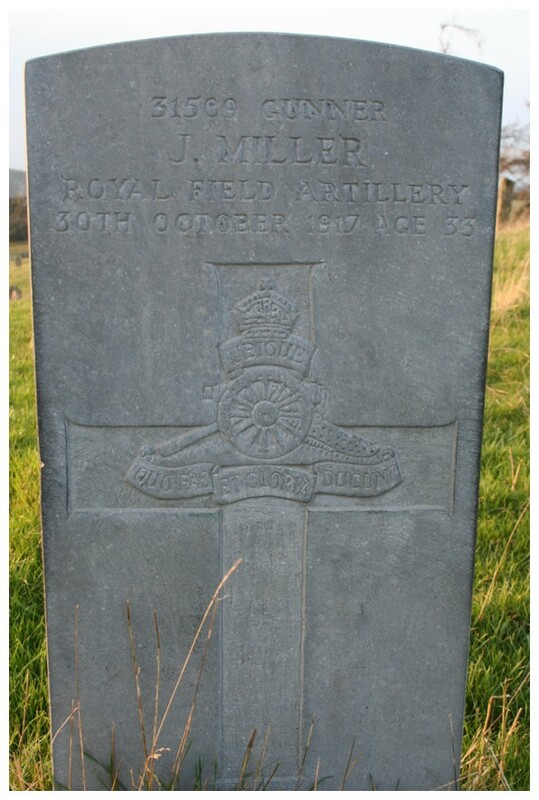 QMS Turner Royal Engineers who died at Newbridge 10th Nov 1896 aged 44 years." "In memory of Lieut. Walter Gordon Underhill Quartermaster The Cameronians who died at the Curragh on the 12th September 1887 aged 44. Erected by the Officers of the Regiment." 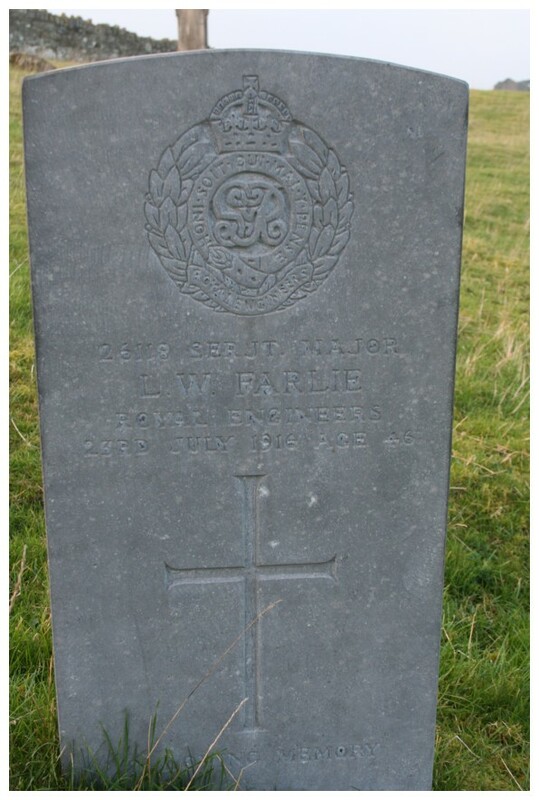 "In memory of Augustus Underwood Private Rifle Brigade who died 15th June 1880 aged 23 years. Watch and pray. This stone is erected in gratitude for faithful service done to an Officer who died in the Zulu War." 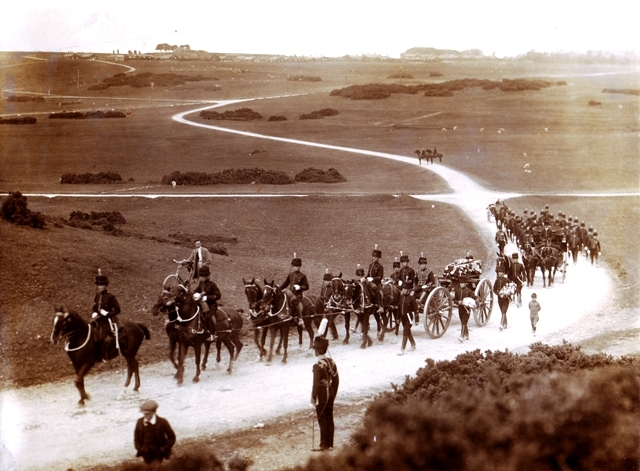 Curragh on the 16th July 1908, aged 19 years." "In loving memory of Gunner John Wells 12th K.A.V. died 16th January 1885 aged 22 years." "In memory of Sapr T. Winter 37th Co R.E. 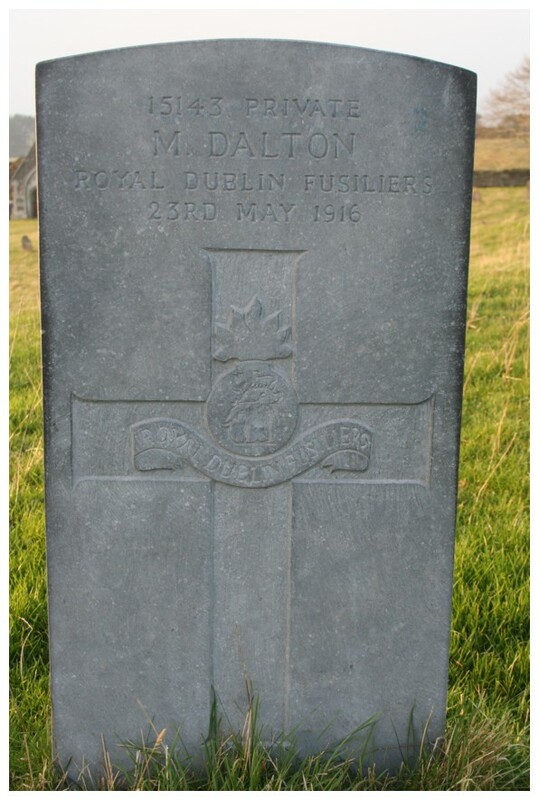 died at the Curragh 6th April 1891 aged 24 years." 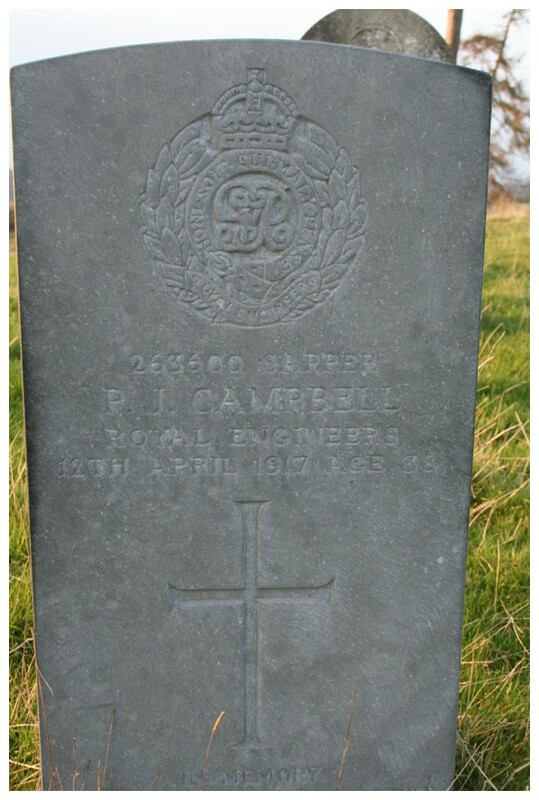 "To the memory of Sapper Charles Wright Royal Engineers who departed this life on 27th Sept 1888 aged 37 years and 9 months. This stone was erected by the Officers, N.C. Officers and Men of 12th Company R.E." William Perry the dearly beloved son of William and Rosalie Locke 145 Battery. Died at Newbridge. 30th April 09. Aged 11 months. 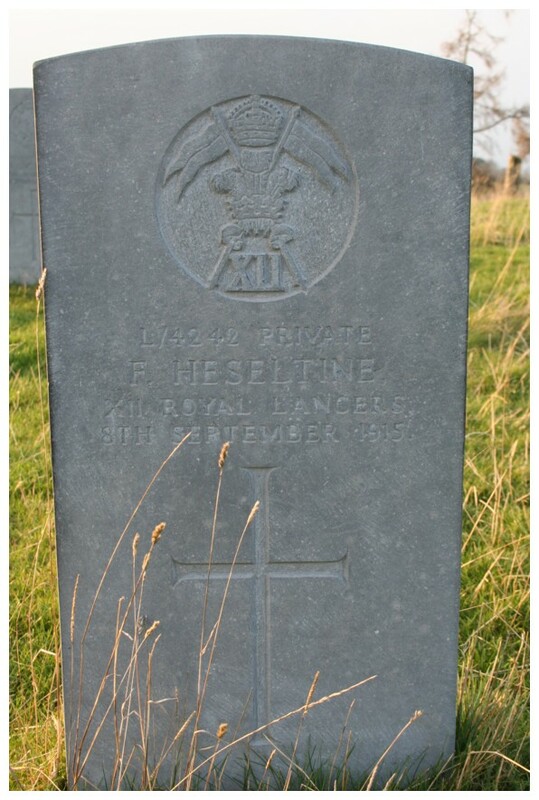 Aimee Constance, beloved wife of Pte H J King 16th Lancers who fell asleep in Jesus on 16th Nov 1913 aged 34 years. Sleep on beloved sleep and take thy rest. We loved thee well but Jesus loves thee best. To the memory of Jane Elizabeth Bridges wife of SS Bridges ASC who died 4th Nov 1913 aged 34 years. 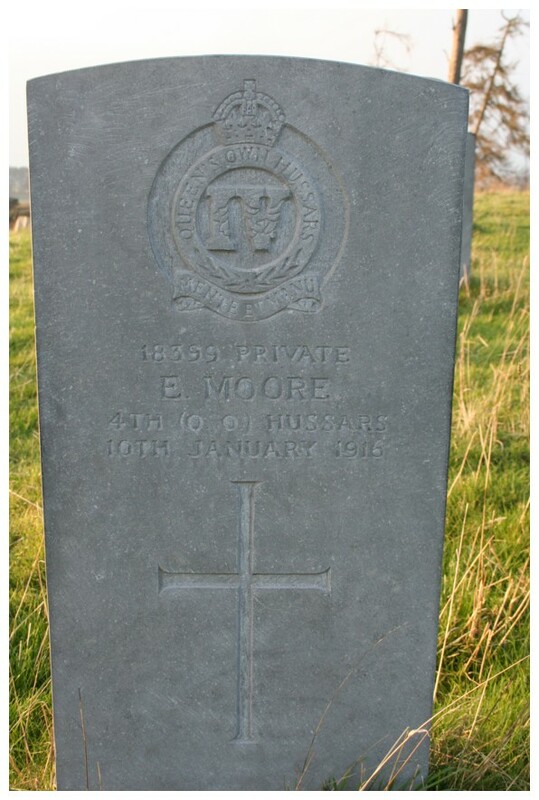 To the loving memory of Belle, wife of Edmund Oliver Davies (Bandmaster 4th Q O Hussars) who died 21st Nov 1914. Sacred to the memory of Lucy the beloved wife of Coy Sgt Major F. Tuft. R.G.A. Died 8th July 1916 aged 46 years. Gone but not forgotten. R.I.P. In loving memory of Violet the beloved wife of Sergt W. E. Marshall. 5th R.D.F. Died 10th May 1916 aged 34 years. Erected by his comrades. 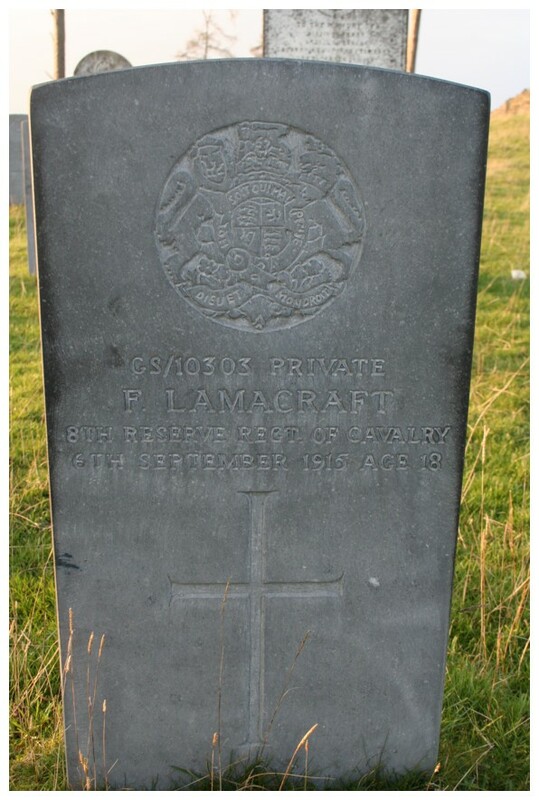 In loving memory of Florence Morland, wife of Major C. M. Hutton XXth Regiment who died December 9th 1893 aged 35. Sacred to the memory of Mrs Tomlinson who died 26th January 1875 aged 27 years. Erected by the N. C. Officers and Men of Letter D Company. 94th Regiment. 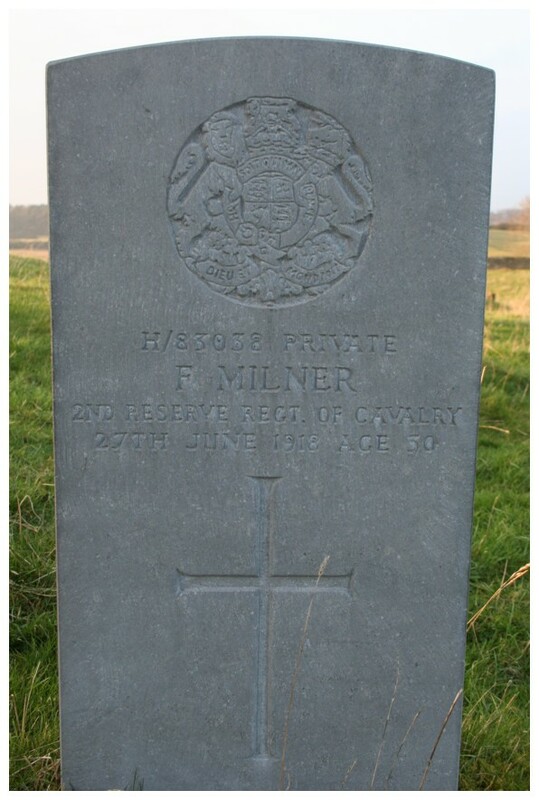 In loving rememberance of F. T. Furminger who fell asleep 1st May 1893 aged 67 years. Blessed be the dead which sleep in the Lord. 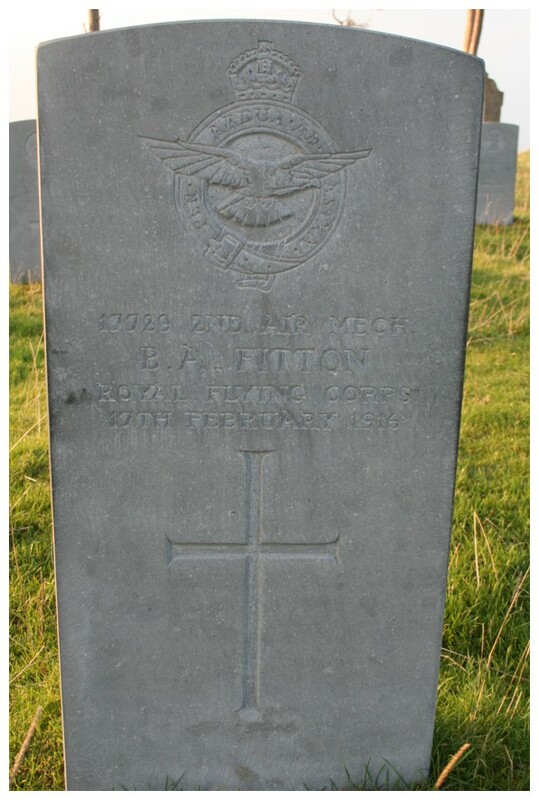 In memory of Harry Robinson died 5th September 1890 aged 21 years. What our Father does is well. Matilda the beloved wife of Sergt C. Clarke, the Black Watch died 30th May 1886 aged 36 years. Also Matilda Dorathea her only daughter died 2nd June 1886 aged 9 days. In affectionate rememberance of Elizabeth Barrett the beloved wife of F Barrett Corpl R.E. who died 12th January 1887 aged 33 years. Joan daughter of Brig Gen E. A. Fanshawe R .A. Born 9th June 1910. Died 4th June 1912. Sacred to the memory of Ponsonby G Watts the beloved child of Ponsonby Watts Esq. 1st Royal Irish. Born 25th June 1870 died 8th April 1871. In memory of Charles son of Thomas and Sarah Ann Hibburt. Died 2nd February 1872 aged 5 months. Ida May dearly loved child of S. Beckwith and Edith Blyth. Died Oct 15th 1876 aged 2 years and 3 months. For of such is the kingdom of heaven. Helen A. Moore only child of H. Moore 4th Regt died 23rd March 1877. Charles James Legge son of Major W. K. Legge The Essex Regiment. Born 16th August 1908. Died 9th February 1911. Sacred to the memory of Kate the dearly beloved wife of Schoolmaster G. Hicks 5th Dragoon Guards who departed this life at Newbridge Barracks on the 23rd July 1885 agee 40 years after a short illness. The Lord gave and the Lord hath taken away. Blessed be the name of the Lord. She is not dead but sleeps in Jesus. Sacred to the memory of Susan Ann Storer the beloved wife of Staff Sergt W. Storer A. S. C. who died 10th May 1873 aged 32 years. 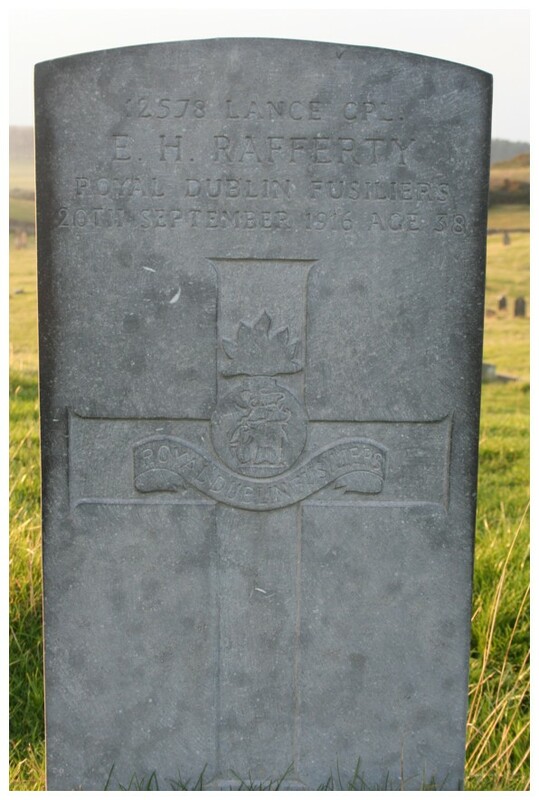 In loving memory of Archibald John Bamber second son of John Thomas and Mary Bamber who died Feb 21st 1908aged 17 years. On the resurrection morning, soul and body meet again. No more sorrow no more weeping no more pain. In loving memory of Harry Terence Gibbs aged 6 years. 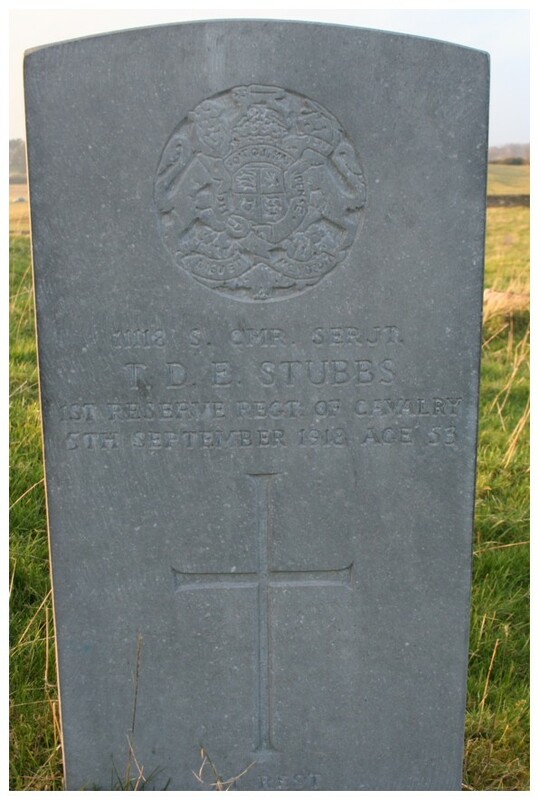 Eldest child of Lieut & Camp Qr Master H. Gibbs Staff who died at the Curragh Camp the 2nd Feby 1894. For our loss we must not weep nor our loved one long to keep. God has saved from weary strife in it’s dawn this fresh young life. In affectionate rememberance of Isaac Wylie for 15 years scripture reader in Curragh Camp who died 4th November 1894 aged 57 years. I am the resurrection and the life. John XI 25. In loving memory of Agnes Whyler wife of Corpl G. Whyler R. H. A. who died 22nd Feb 1904 aged 26 years. Thy will be done. Sacred to the memory of Louisa Prudence born 10th July 1864 died 15th Feby 1903 the loving wife of Lieut & Qr Mr J. R. Siddall Inniskilling Dragoons. Fasten’d to the rock which cannot move grounded firm and deep in the Saviour’s love. Sacred to the memory of Arthur Seymour (Camp Quartermaster Sergeant) dearly beloved husband of Mary Seymour who died 14th April 1905 aged 26 years. “Asleep in Jesus”. Erected by Sergt W. Meyler 47th Regt in memory of his dearly beloved wife Louisa Jane Meyler of St. Peters, Jersey who died Febry 16th 1878 aged 21 years also his daughter Louisa Jane who died young. Ah gay one see how the young and beautiful sink to the grave. In memory of Florence Giulietta Wilkinson aged 13 months. 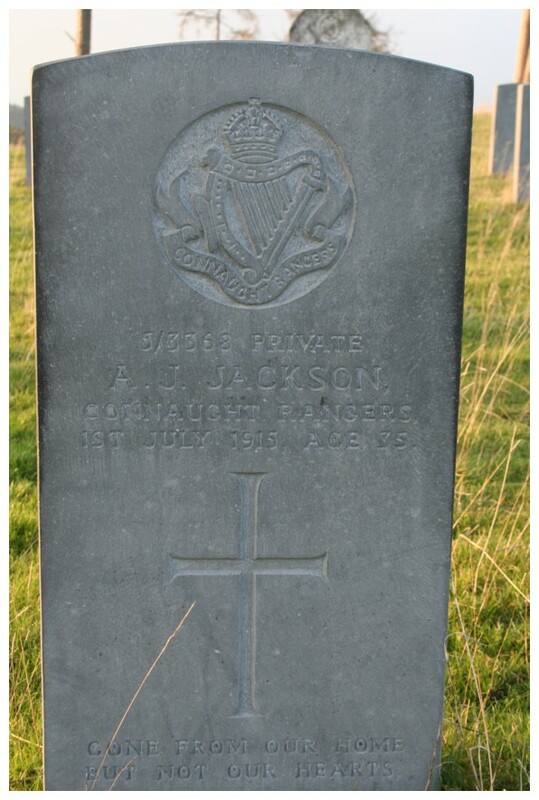 Youngest daughter of Major H. I. Wilkinson late 9th Regt. District Controller, Curragh. Died Whitsunday 1st June 1873. 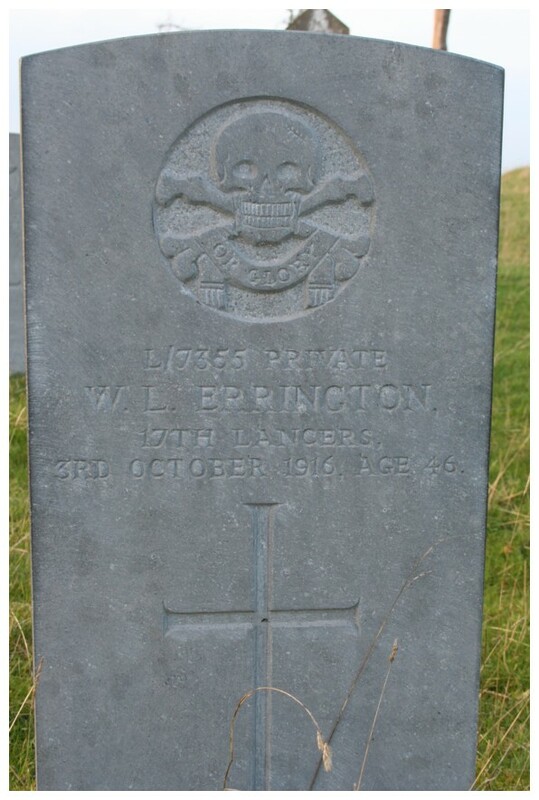 In memory of George infant son of Fred & Flora Wale 91st Regt died 21st April 1876 aged 11 months. Sacred to the memory of Robert McAndless the beloved son of Wm and Mary McAndless O. B. 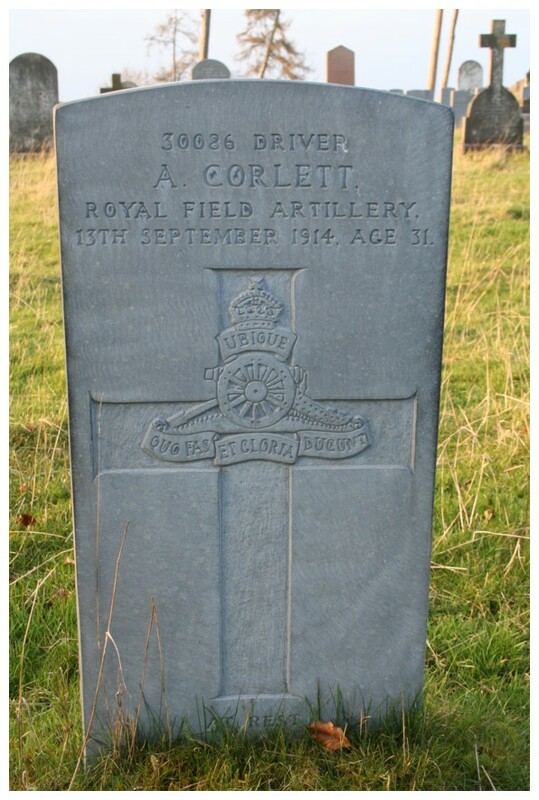 A. S. Corps who died on the 28th March 1878 aged 8 months. The Lord giveth and the Lord hath taken away. Blessed be the name of the Lord. In loving memory of Mary wife of Arm Sgt A. Dougall 1st Batt Northampton Regt died 26th January 1883 aged 33 years erected by her sorrowing husband and children to perpetuate the memory of a most loving and unselfish wife, mother and friend. Though I walk through the valley of the shadow of death I will fear no evil for thou art with me. In loving memory of Sophia Rosalie Florence the dearly beloved wife of Sergt C. Merrifield 8th K. R. I. Hussars late 11th P. A. O. Hussars died 26th December 1898 aged 30 years. Who have I in heaven but thee and there is none upon earth that I desire in comparison of thee. In loving memory of Marion the beloved wife of John Firman of Hamilton British North America who departed this life at the Officers Mess R. H. A. Newbridge Barracks the 1st day of December 1887 aged 44 years. Also Ernest John 4th son of the above who died the 17th day of March 1876 aged 1 year and 6 months. Watch therefore for ye know neither the day nor the hour wherein the son of man cometh. Matth 25 Ver 13. In loving memory of Emily Sophia beloved wife of Archie Saunders Corpl Army Service Corps who departed this life 21st June 1896 aged 25 years. Strong was her faith inhim who died to save and bright her hopes of joy beyond the grave. The Lord gave and the Lord hath taken away. Blessed be the name of the Lord. In loving memory of Sarah Eliza Houseman who died 9th May 1896 aged 33 years. Thou blessed rock of ages I am hiding in thee. Sacred to the memory of Marion the beloved child of Major O. H. Oakes The Worcestershire Regiment who fell asleep in Jesus 11th June 1892 aged 10 years who is here laid to rest in the sure hope of a joyful resurrection through faith in a crucified and ever loving saviour. For by grace are ye saved through faith and that not of yourselves, it is the gift of God. Ephesians 11, 8. Ask and ye shall receive. In loving memory of Dorothy Elizabeth daughter of Bandmaster J. Matthews 1st Bn South Staffordshire Regt. Died July 31st 1904 aged 10 years. Brief life is here our portion. Sacred to the memory of Ann McKenzie the beloved wife of Sergt H. McKenzie 93rd Suthd Highlanders who died at Curragh Camp on the 13th May 1878 aged 26 years and 11 months.Tis God that lifts our comforts high or sinks them in the grave. He gives and when he takes away he takes but what he gave. In loving memory of George only beloved son of James & Alice Tait 1st Batt H. L. I. Who departed this life the 17th August 1889 aged 9 months. In loving memory of Elizabeth youngest daughter of James and Annie Duguid 93rd Sutherland Highlanderswho died 26th April 1889 aged 1 year & 4 months also Frederick who died 1st February 1890 aged 5 months. Suffer little children to come unto me and forbid them not for such is the kingdom of heaven. In loving memory of Martina Balthasar Gething who departed this life 28th April 1897 aged 70 years. Thy will be done. 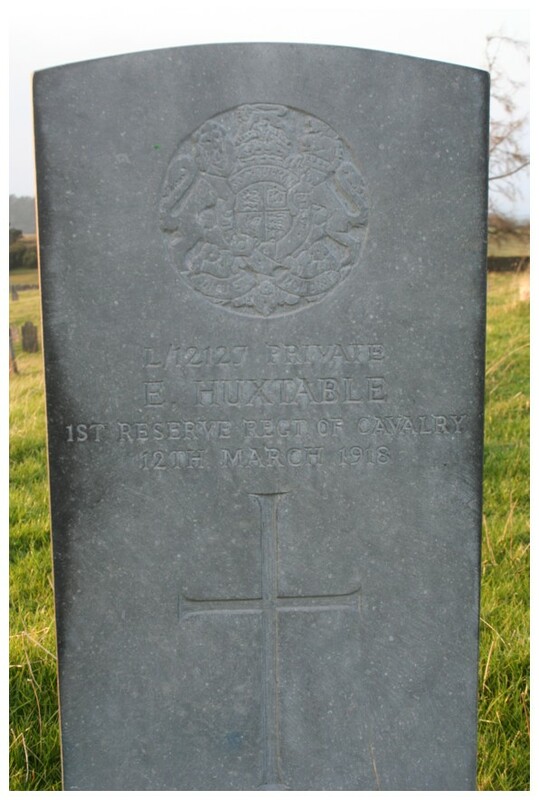 In loving memory of Alfred Frank Harold beloved child of Frank and Harriet Little 26 Co Royal Engineers who died 28th February 1895 aged 1 year. For of such is the kingdom of heaven. In loving memory of Alice beloved daughter of Fred and Florence Chandler Corp Royal Engineers died 2nd August 1904 aged 13 months. In Sacred memory of Margaret Martha the beloved child of Huw & Emma Pritchard 5th R. I. Lancers who died at Newbridge 23rd July 1882 aged 3 years. Sacred to the memory of Esther James the beloved wife of John Adams Officers Mess Steward 1st H. L. I. 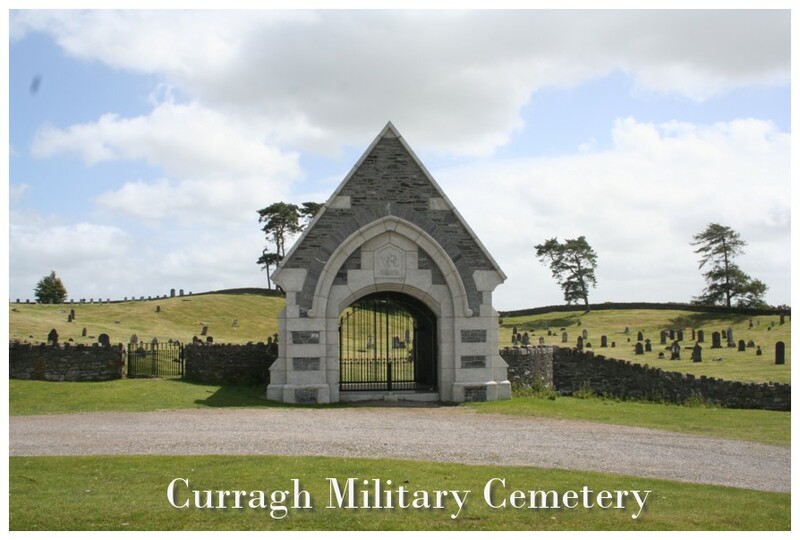 Who died at the Curragh Camp on the 3rd February 1890 aged 42 years. O may we stand before the lamb when earth and sea are fled and hear the judge pronounce our name with blessings on our head. Erected by her sorrowing husband. 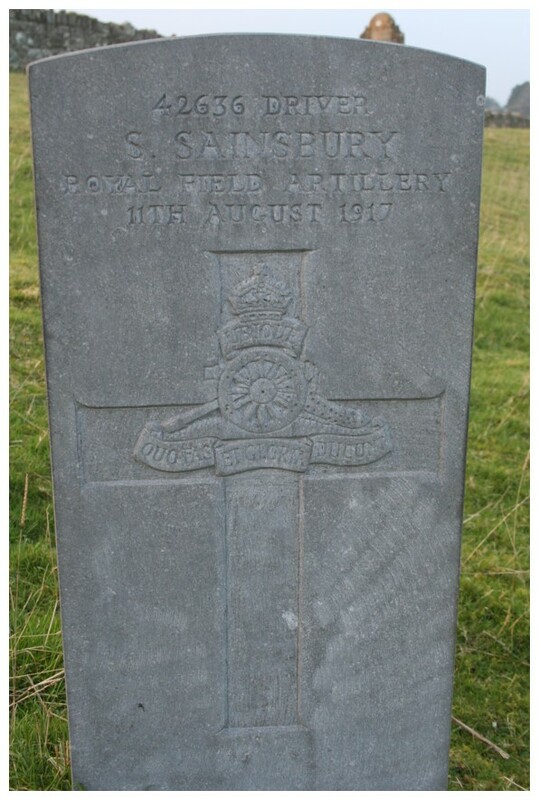 In loving memory of John Arthur Salusbury son of Captain J. E. Harden The Lancashire Fusiliers born 4th March 1903 died 6th March 1903. In loving memory of Leslie the dearly beloved child of John and Elizabeth Mackay who died 7th Sept 1900 aged 2 years. 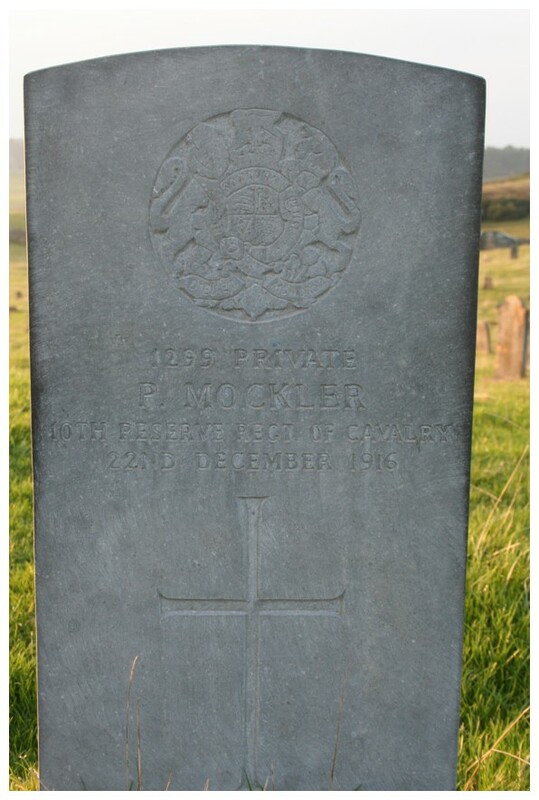 Erected by Corporal W. Dover R. E. in loving memory of his children Anna Maria died 29th April 1889 aged 13 months. His infant son James died 21st June 1889. Suffer little children to come unto me. 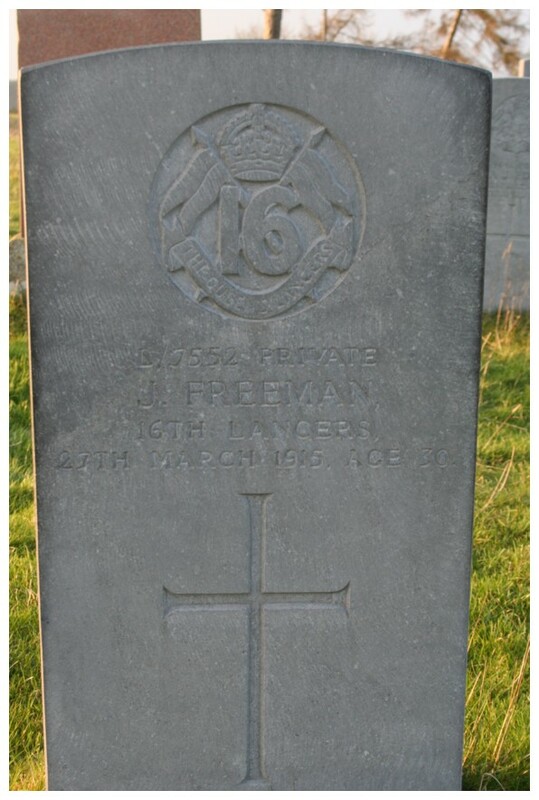 In loving memory of James Frankham Church (formerly Q. M. S. Instructor Royal Engineers) who departed this life at the Curragh Camp on the 15th March 1898 aged 70 years. Also his daughter Winnie who died 21st August 1880 aged 12 months. Not lost but gone before. Also his wife Caroline who died 31st Oct 1919 aged 79 years. At rest. 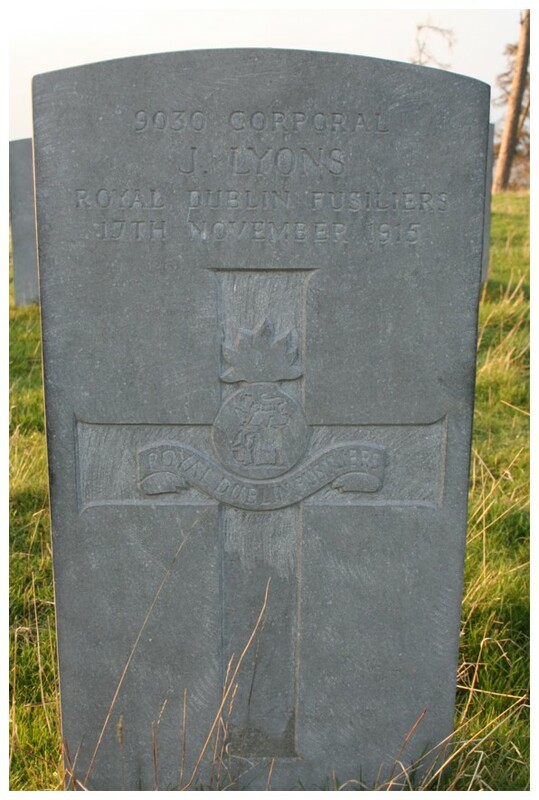 Also his son Frederick James Lieut Royal Dublin Fusiliers. Killed in Action in France May 1915. In loving memory of Emily Harriet Aston the beloved daughter of Samuel and Elizabeth Aston died 21st November 1885 aged 16 years and 9 months. Blessed are the pure in heart for they shall see God. Matthew VIII. V.
In loving memory of Cyril Walter Francis second son of Band Mtr H Cannar Xith (P. A. O.) Hussars who passed into rest March 2nd 1888 aged 5 years. In affectionate memory of Edmund Charles who departed this life23rd March 1899 aged 8 years. The dearly beloved and only son of E. J. & S. Monk. 8th King’s Royal Hussars. The Royal Fusiliers (City of London Regiment) in affectionate rememberance of James George the dearly beloved son of Sergeant J. Clarke & Naomi his wife who departed this life 25th December 1898 aged 2 years & 1 month. Sacred to the memory of Amelia the beloved wife of George Denithorne A. S. Corps who departed this life 19th Jany 1872 aged 22 years & 7 months. May she rest in peace. In memoriam Mary the beloved wife of Charles J. McGarry died 6th March 1875 aged 43 years. Eternal rest give unto her O Lord. 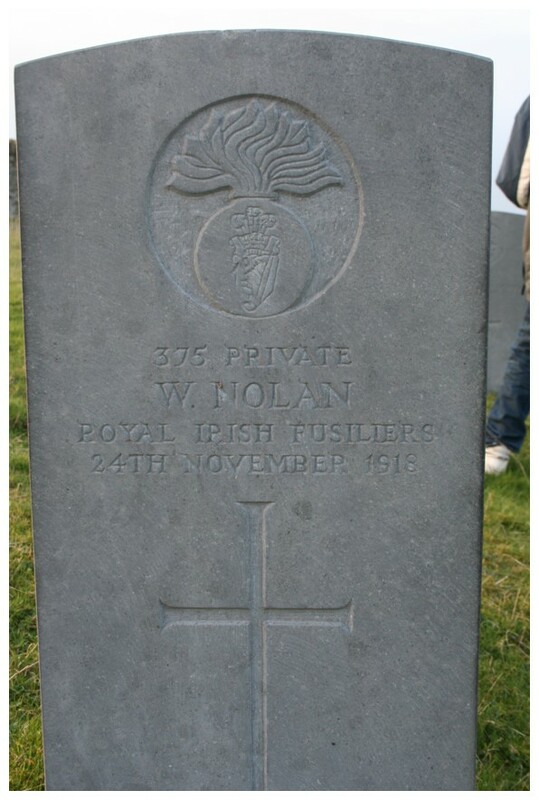 Sacred to the memory of Willaim Thomas son of Thomas and Ellen Francis 96th Regt born 11th Oct 1864 died 26th Augt 1877. R.I.P. In affectionate rememberance of Olive third daughter of Staff Sergt T. Good R. E. M. F. W. who died at Newbridge June 25th 1880 aged 1 M and 3 days. In memory of Jane the beloved wife of Sergt Major Shepheard R Eng who died 3rd June 1876 aged 37 years also his beloved child E Fredk who died 6th April 1876 aged 6 weeks and M St George who died 26th October 1877 aged 7 years. In loving memory of James Edward son of Joseph and Ellen Rennick2nd East York Regmt who died 23rd Sept 1897 aged 5 years. Peace perfect Peace. 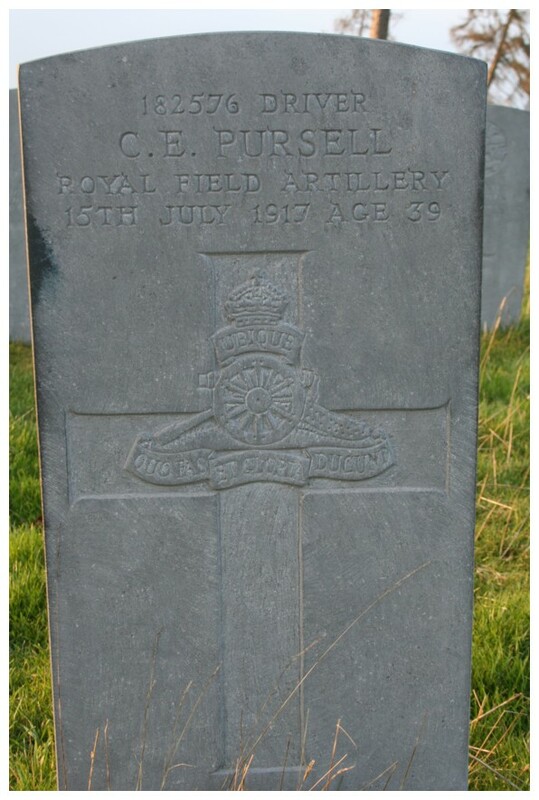 In loving memory of Harold Cecil (Tosie) who died 1st October 1895 aged 2 years. 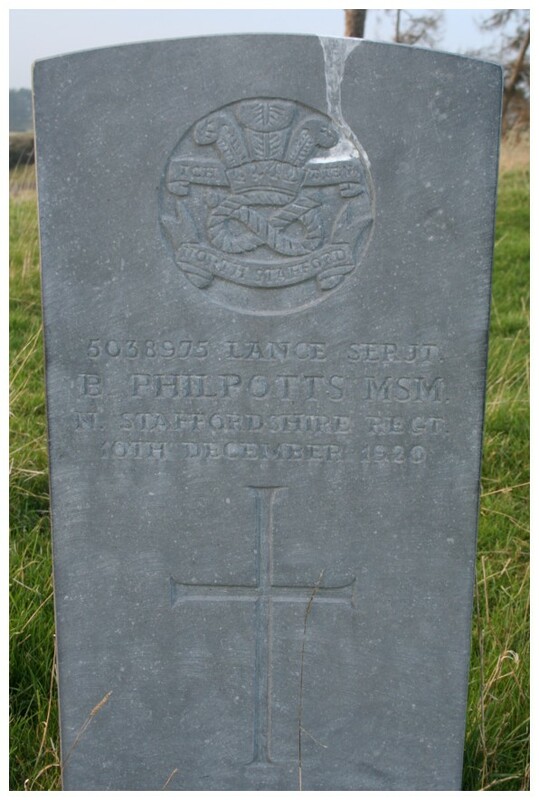 Also Phillis Constance who died 27th October 1897 aged 1 year & 8 months the beloved children of Alfred & Lucretia Tomalin The Sherwood Foresters. In loving memory of Rosannah Ellen Lucinda the beloved child of William & Elizabeth Buckley 2nd Hampshire Regiment who died 4th January 1895 aged 15 months. In loving memory of Alice Emma the beloved child of Henry & Annie Bennett 2nd Hamps Regiment who died 7th January 1895 aged 7 months. In memory of Ada beloved daughter of Corpl Wm Marshall R. E. & Emily his wife who died 21st Jany 1880 aged 3 years. Their angels do always behold the face of my father which is in heaven. Matthew XVIII & X.
Sacred to the memory of George William son of Corpl William Andrews 31st Co Royal Engineers and Sarah his wife who died 9th March 1875 aged 13 months. This lovely bud so young and fair called hence by early doom. Just came to show how sweet a flower in paradise would bloom. 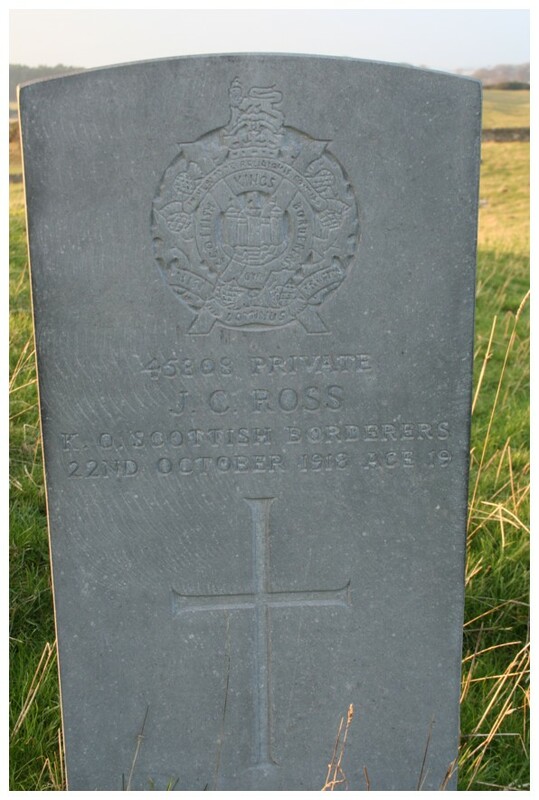 In loving memory of Cissie dearly beloved daughter of Henry & Mary Taylor A. S. C. who died 7th March 1897 aged 3 years. In loving memory of Isabel Evelyn (Eva) the dearly beloved daughter of….rest illegible. 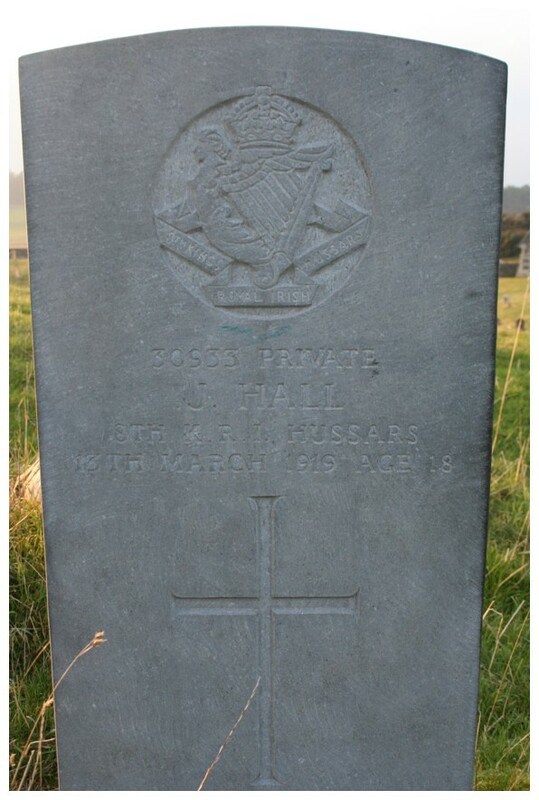 In loving memory of Margaret Charles Worth the beloved wife of Sergt Charles Worth R. E. died 10th Octr 1898 aged 32 years R. I. P.
In loving memory of Harriet wife of P. Ruthven R. E. Establishment Curragh Camp who died 12th July 1895 aged 61 years. He maketh me to lie down in green pastures. 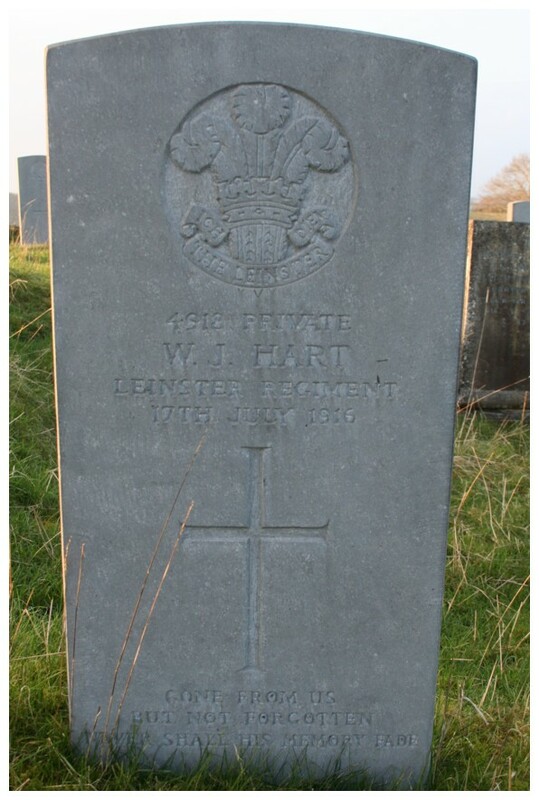 In loving memory of Willie the dearly beloved son of William George & Sarah Evans East York Regt who died 5th March 1897 aged 8 months. 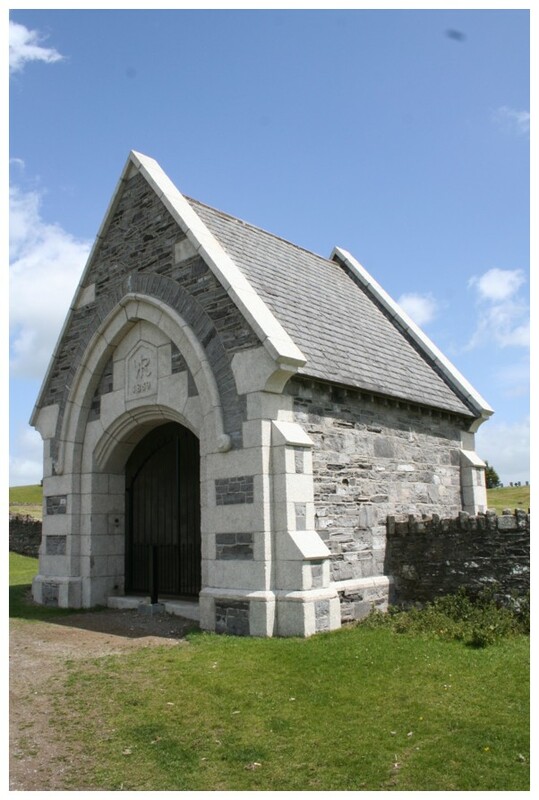 In loving memory of Julia the beloved child of Sergt Hallott Provost Prison died 10th March 1894 aged 7 months. Sacred to the memory of Kate Lamb wife of Sergeant J. Lamb 1st R. D. F. who departed this life 9th Decr 1888 aged 23 years. 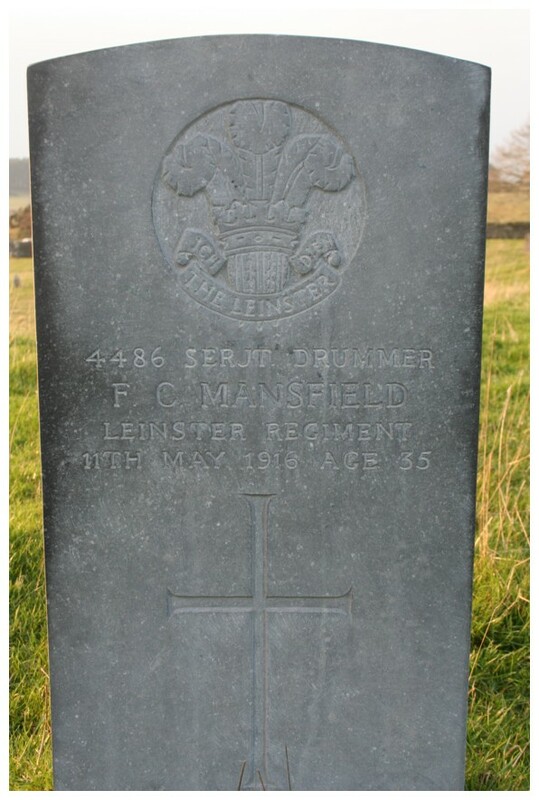 In loving memory of Thomas Fredrick the dearly beloved child of Thomas F & Jessie Godsell late Royal Welsh Fusiliers died 21st February 1897 aged 3 years and 4 months. 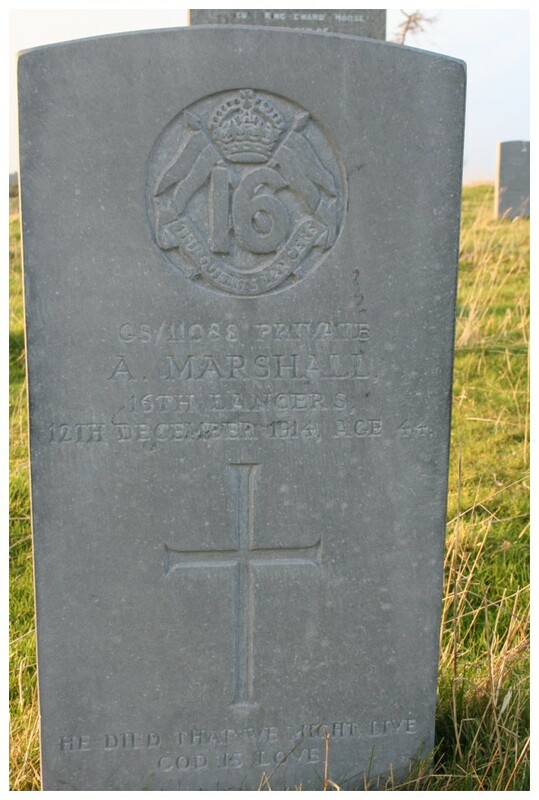 In loving memory of Daisy Winnifred the dearly beloved child of James and Annie Glieve Royal Welsh Fusiliers died 17th Decr 1890 aged 4 years & 2 months. 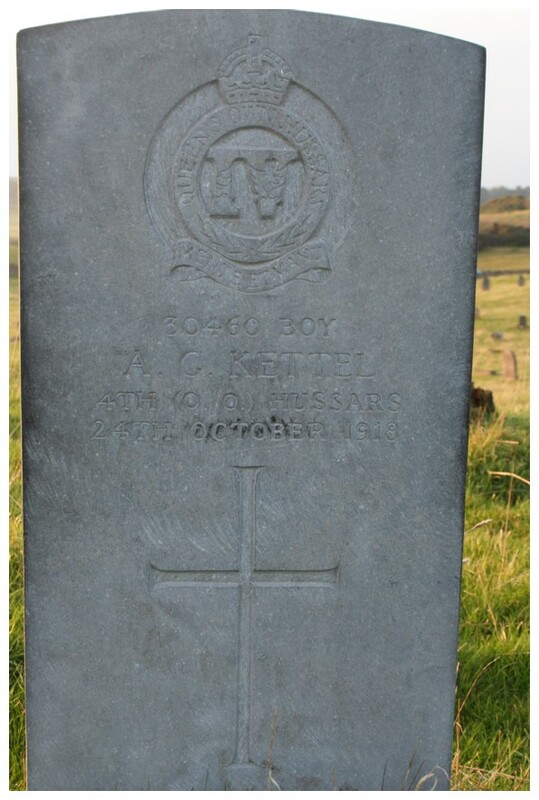 In loving memory of Madge Kevin daughter of Sergt T. Kevin M. F. Police died 31st January 1898 aged 7 years & 1 month. Gone but not forgotten. In loving memory of Annie Ruby Woods born 29th June 1894 died 16th Decr 1895 the beloved child of Ernest & Annie Woods. Their beloved son George Frederick died 20th March 1901 aged 2 years & 7 months. Requiescat in Pace. In loving memory of George He……beloved and only……. 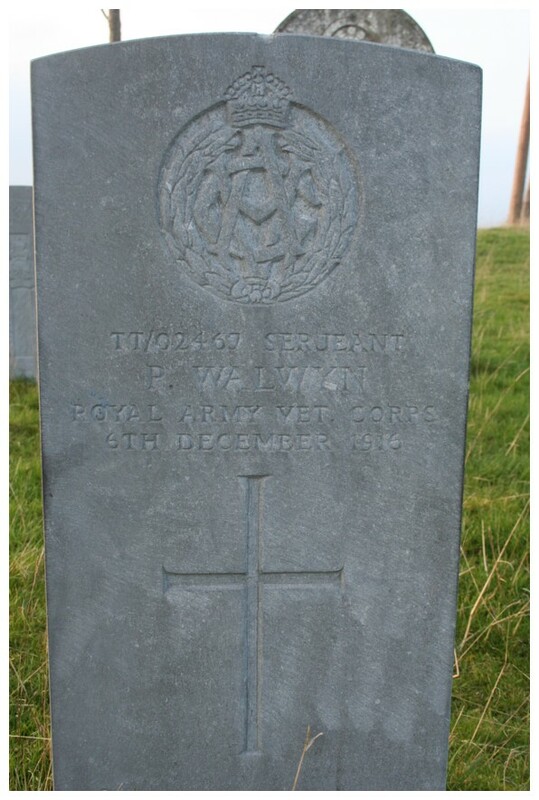 Of George & Priscilla Wall………..1st Wilts Regt died 11th Oct 1891 aged 9 weeks. This lovely bud so young and fair called hence by early doom. Just came to show how sweet a flower in paradise would bloom. R.I.P. In memory of Rosie the beloved daughter of Q Master Gregory R. W. F. died 16th April 1891 aged 6 years. 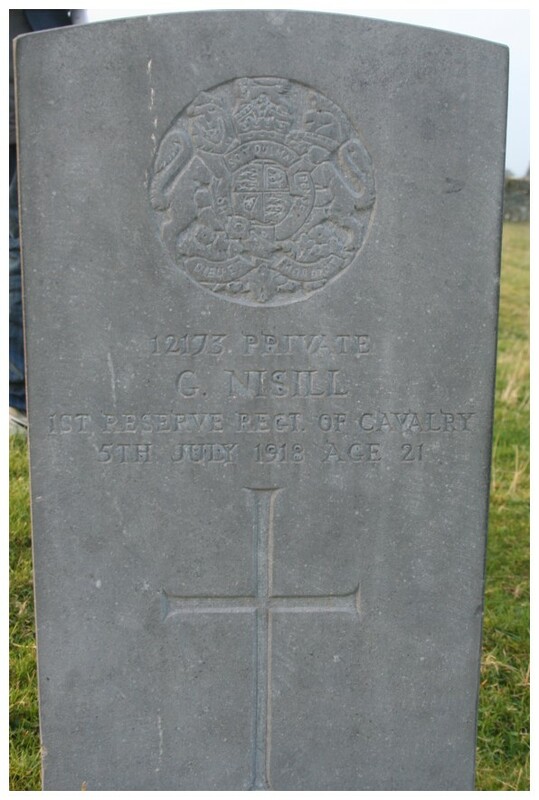 In loving rememberance of Francis Edwin Carlisle the beloved child of Col sergt F. E. & Nellie Sissons 2nd Batt East York Regt died on the 31st July 1895 aged 1 year & 3 months. 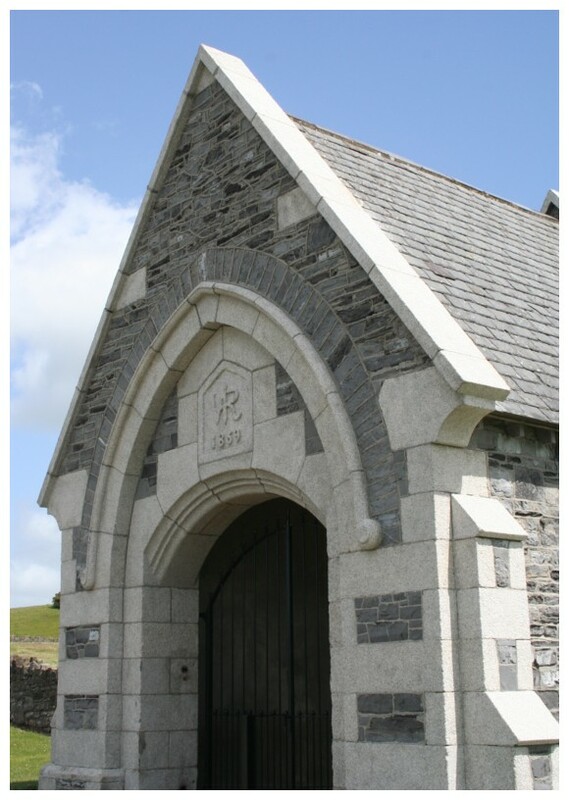 In affectionate remembrance of Catherine the dearly beloved wife of Peter Rogan late Sergt Major A. S. C. who departed this life 8th November 1896 aged 38 years and of their infant babe Mary Josephine who died 11th September 1894 aged 2 days. Mother and Sister of Rt Rev Bishop Peter Rogan C. B. E. Bishop of Nicio. In loving memory of George Alfredthe beloved son of George and Mary Butcher died in camp March 3rd 1892 aged 5 months. 2nd Batt Worc. Forever with the Lord. Sacred to the memory of Edward Augustus who died 10th February 1887 aged 9 months and Annie Harriet died 16th Feb 1888 the beloved children of Walter Vine 11th Hussars. In memory of Mabel Martha daughter of T. S. M Pinnell 11th Hussars who died 23rd March 1887 aged 4 months. This lovely bud so young and fair called hence by early doom. Just came to show how sweet a flower in paradise would bloom. Sacred to the memory of Emma beloved wife of T. S. M. Carvosso 11 PAO Hussars who departed this life 20th September 1887 aged 28 years. Rest dear one so tender and so true mother with all thy wealth of anxious love. Thy saviour all thy pain and sorrow knew and he has called thee to his home above. Also in loving memory of Willie son of the above who died 25th July 1887 aged three months. In fond remembrance of Mary Mahoney the beloved wife of Army Schoolmaster James Mahoney who died 8th May 1878 aged 31 years 5 months. Two of their children lie buried in rere of this stone. In memory of Annie Lily the dearly loved child of George and Ann Waterman who departed this life October 7th 1882 aged 2 years and 9 months. Of Such is the Kingdom of heaven. In memory of Sarah dearly loved child of William & Adelaide Bellamy who died 11th March 1883 aged 1 year and 5 months. In memory of Ethel May the beloved child of John & Jane Page Coms & Transport Corps who died 3rd April 1883 aged 10 months 14 days. Erected by Sergeant Farrier Lambert 1st R Dragoons in memory of his son William who died 25th Decr 1883 aged 1 year 10 months. One angel more in heaven. 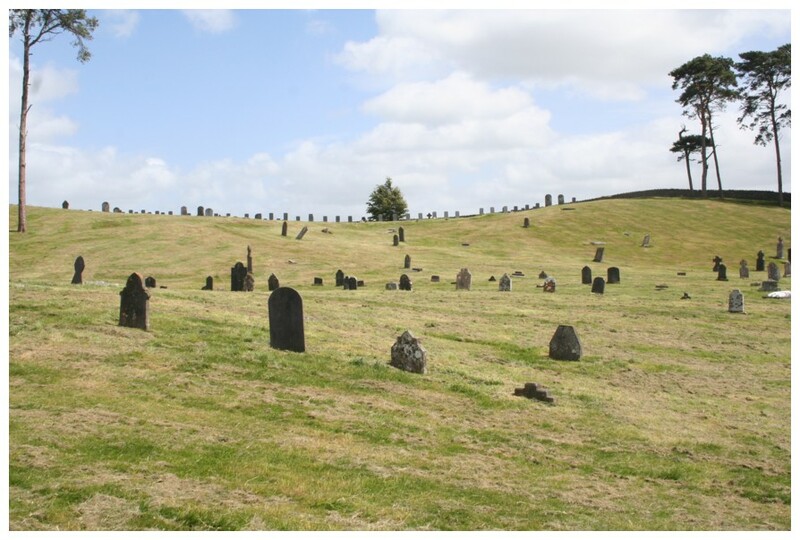 In memory of the dearly beloved children of Sergt Charles Broacks 4th Dragoon Guards and Jessie his wife Ellen Eliza died 15th July 1875 aged 9 months & 7 days and Charles Thomas died 16th July 1875 aged 9 months 8 days. In affectionate remembrance of Emily Kathleen the tenderly loved child of Edwin William and Emilia Brown died March 26th 1885 Aged 7 Months. We shall go to her but she shall not return to us. Sacred to the memory of Margaret the beloved daughter of Sergeant H. Burke R. E. & Maria his wife who departed this life 22nd Octer 1873 aged 5 years & 10 months. 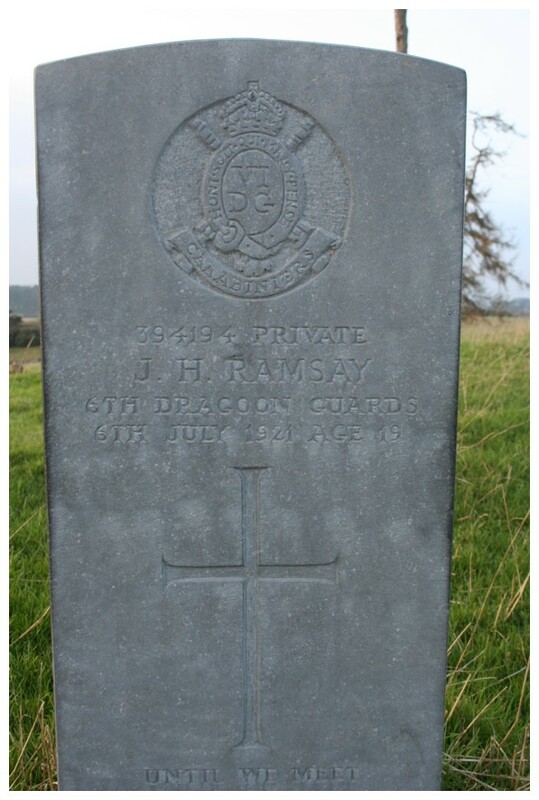 To the memory of Thomas Henry who died 14th April 1978 aged 12 years the beloved child of Cr Sergt D. M. Sweeney 2nd Bn 14th Regt and Eliza his wife. In affectionate remembrance of Catherine Davis the beloved wife of Samuel E. Davis who departed this life 5th June 1898 aged 52 years and of his infant son Edmond Christian. 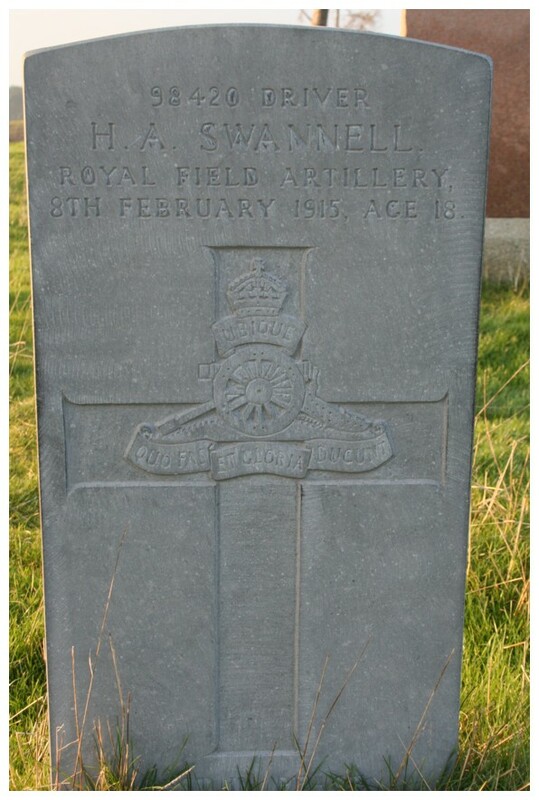 In memory of Henry Walter child of Band Sergt Henry Tovell & Winnifred his wife 94th Regt who died at the Curragh Camp 26th Feb 1875 aged 8 months & 9 days. Thy will be done. 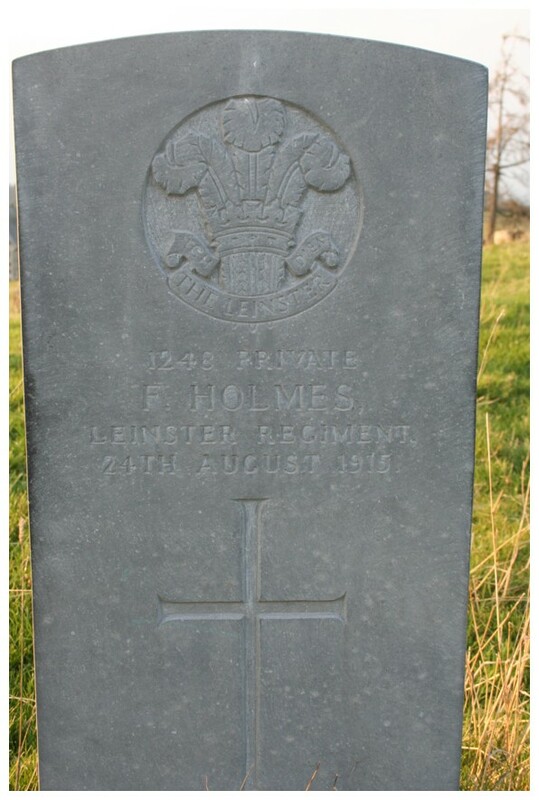 In loving memory of Joshua Charles the beloved son of John & Mary Ann Brown 2nd Batt Royal West Kent Regt who departed this life 5th day of March 1886 aged 2yeras & 9 months. In memory of Louisa Frances beloved daughter of William & Martha Mason 19th Hussars died 24th August 1877 aged 4 6/12 years. 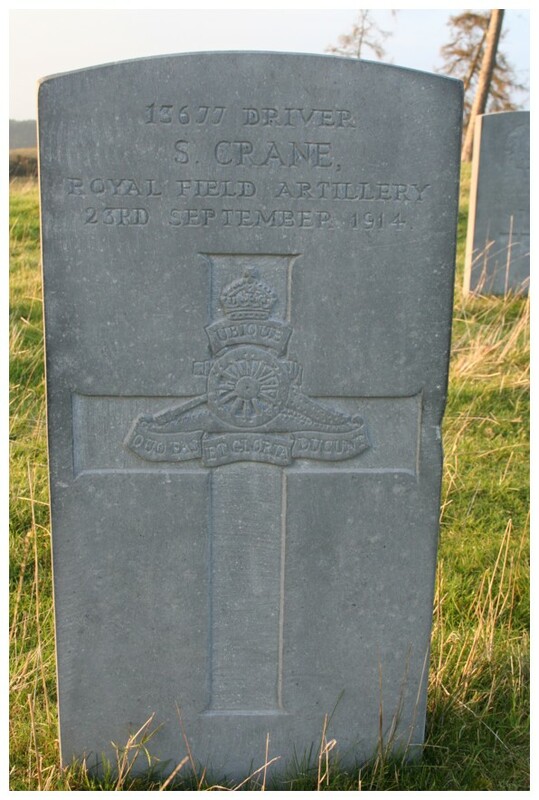 In memory of Francis Slate who died 11th Oct 1870 aged 24 years. Erected by her beloved parents to the memory of Clara Fohrer aged 6 years who died March 1st 1871. Suffer little children to come unto me and forbid them not. Not lost but gone before. Sacred to the memory of Anne Ough who died 21st Sept 1872 aged 60 years. Requiescat in Pace. E. R. Hurford born 12th March died 15th October 1869. Sacred to the memory of Catherine beloved wife of William White 66th Regiment died in childbirth 17th December 1869 aged 19 years. Thy will be done. In memory of Maria the beloved daughter of George and Maria Scott Royal Artillery who departed this life May 15th 1873 aged 12 years and 4 months. 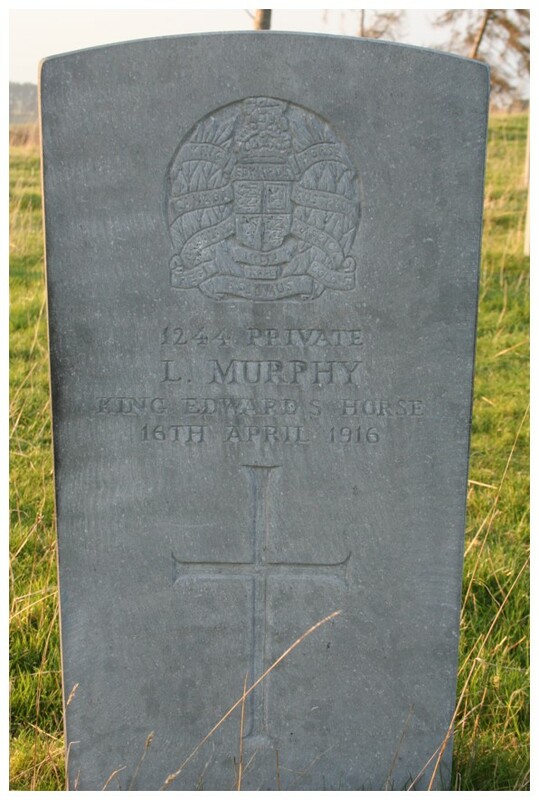 Sacred to the memory of Lydia Murray wife of Bandmaster Murray Inniskilling Dragoons who departed this life 8th July 1873 aged 45 years. She is not dead but sleepeth. Sacred to the memory of Amelia Burroughs who departed this life on the 21st of October 1870 aged 23 years. Also Wm H Burroughs died 29th Dec 1869 aged 9 months and J. T. Burroughs died 15th Oct 1870. 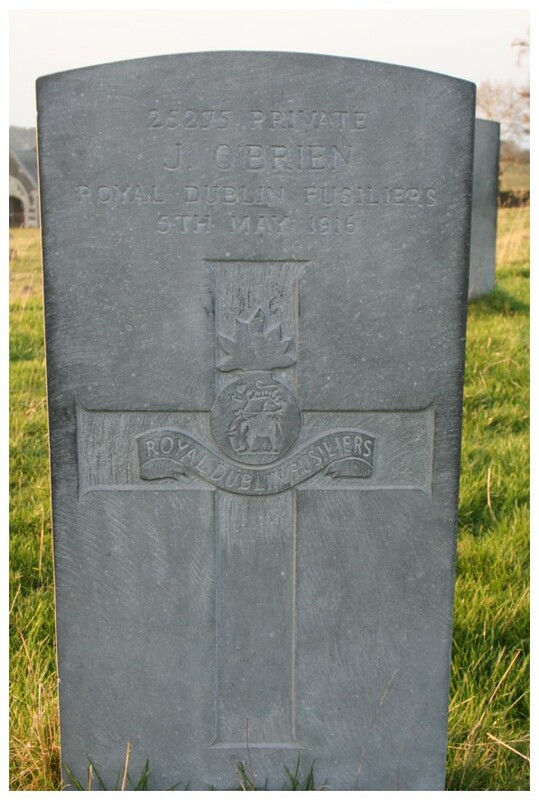 Partly Broken…..Henry…..May 1873….and 6 months the beloved children of Co Sergt Major R..NN R. E. and Phoebe his wife. Also Albert Edward died 16th December 1874 aged 2 years and 8 months. To the memory of John Clegg died May 16th 1872 aged 37 years and also Agness Clegg died 4th Novr 1972 aged 14 years and 6 months. A. S. C. Erected by a beloved wife and mother Bridget Clegg. In memory of Elizabeth the beloved daughter of James & Susan Ryan who departed this life 2nd August 1873 aged 5 years & 10 months. Suffer little children to come unto me and forbid them not for such is the kingdom of heaven. Erected by Sergt Majoor McCarthy 44th Regt in memory of his beloved daughter Jane Mary McCarthy who died March 28th 1871 aged 6 months. J. M. Penrose died 11th Janry 1871 aged 7 years. Frances Charlotte Pinwell died 15th August 1873. Sacred to the memory of Harriet Elizabeth died 24th Novr 1873 aged 4 years & 8 months. Also her sister Letitia Annie died 6th December 1873 aged 3 years the beloved children of Sergt Major T. Reynolds Army Service Corps. In memory of Sophia Anna the beloved daughter of Troop Sergeant Major George and Sarah Pearce 6th Inniskilling Dragoons who departed this life 28th August 1873 aged 20 months. Erected by William Rewcastle Quarter Master Sergeant Royal Horse Artillery and Sarah Ann his wife in memory of their infant son who died 30th May 1873 aged 3 months. In memory of Susan Mary the beloved daughter of Serg Major McIlvern R. A. and of Susan his wife who died 4th Jan 1873 aged 3 months 22 days. 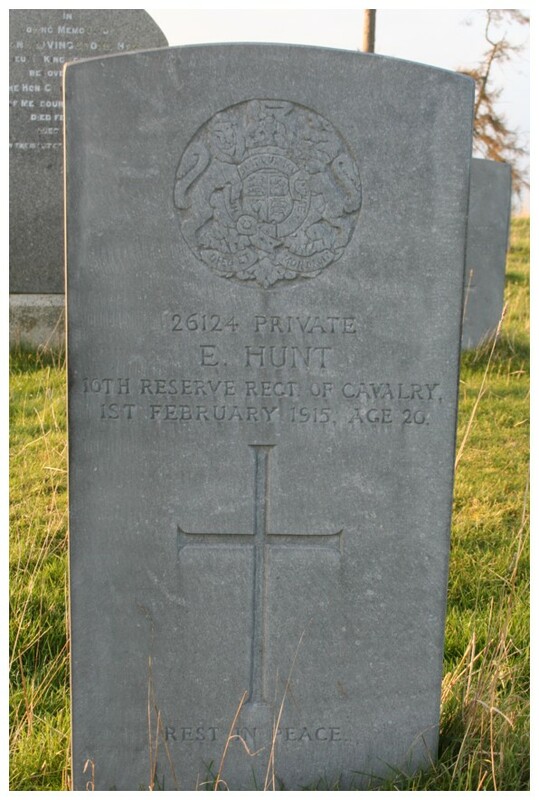 In memory of James Thos Hart the beloved son of Sergt Major T. Hart 34th Regt who died 21st of December 1872 aged one year & 6 months. Of such is heaven. 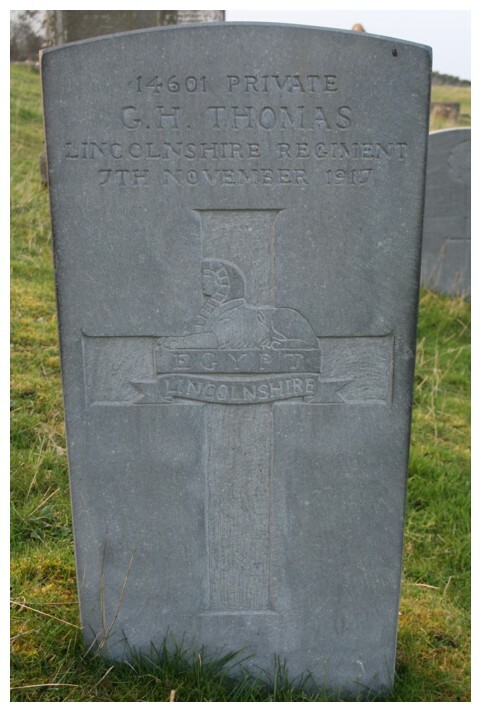 Sacred to the memory of Thomas Rabbits only son of Charles Rabbits 40th Regt born 23rd Dec 1868 died 22nd May 1871 aged 2 years & 5 months. This stone is erected by an affectionate father & mother who deeply deplore his loss. He was lent by God and we resignedly return him with thankfulness. Erected to the memory of Emily Constance daughter of William Andrews Saddler Sergt 8th Hussars died 4th May 1872 aged 1 year & 2 months. Sacred to the memory of Malcolm Charles who died on the 9th Jany 1872 aged 6 months and Alice Matilda who died on the 10th Feby 1873 aged 4 years the beloved children of Co Serjt Major F. T. A. Clemits R. E. In this world of care and pain Lord thou wouldst no longer leave them. To the sunny heavenly plain thou dost now with joy receive them. Clothed in robes of spotless white now they dwell with thee in light. Sacred to the memory of William White who died 23rd February 1886 aged 46 years also his beloved son Willie died 1st July 1887 aged 11 months. Erected by George William Howe (late Sergt Instructor Derbyshire Regt) in affectionate remembrance of his dearly beloved wife Mary Ann Howe who passed away 7th Feby 1906 aged 40 years. Oh we miss her and how sadly bleeding hearts alone can tell earth has lost her heaven found her Jesus has done all things well. Thy will be done. Also George William only son of the above who died 27th Jany 1907 aged 11 years. The Lord have mercy on their souls. 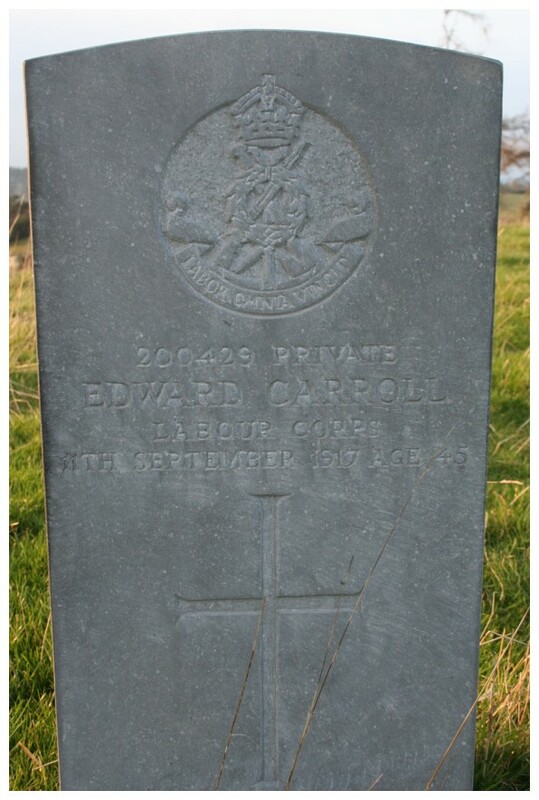 R. I. P.
Sacred to the memory of little Eva who fell asleep 20th Nov 1903 aged 4 years the second and dearly loved daughter of James & Margaret Franklin 6th Dragoons. 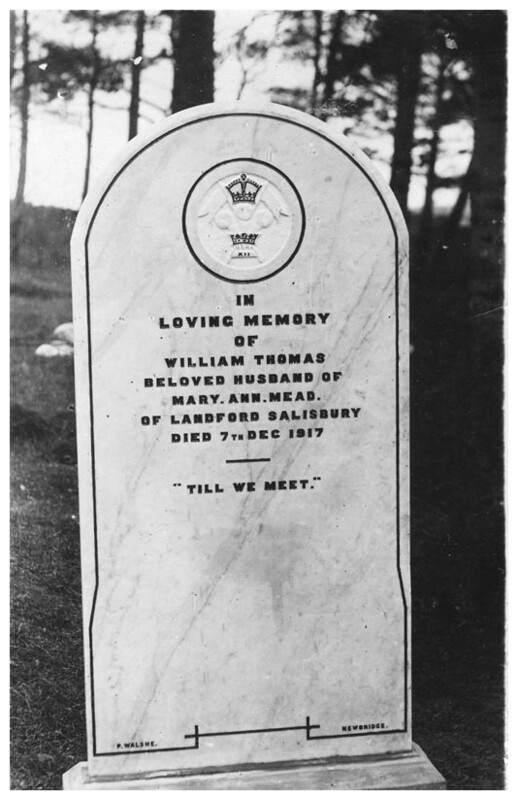 In loving memory of William Thomas beloved husband of Mary Ann Mead of Landford, Salisbury Died 7th Dec 1917. Til we meet. In affectionate memory of Mary Ann the dearly beloved wife of Sergt Instructor Thomas Chapman. 2nd Bn East Yorkshire Regiment. Who died 24th December 1898 aged 29 years. 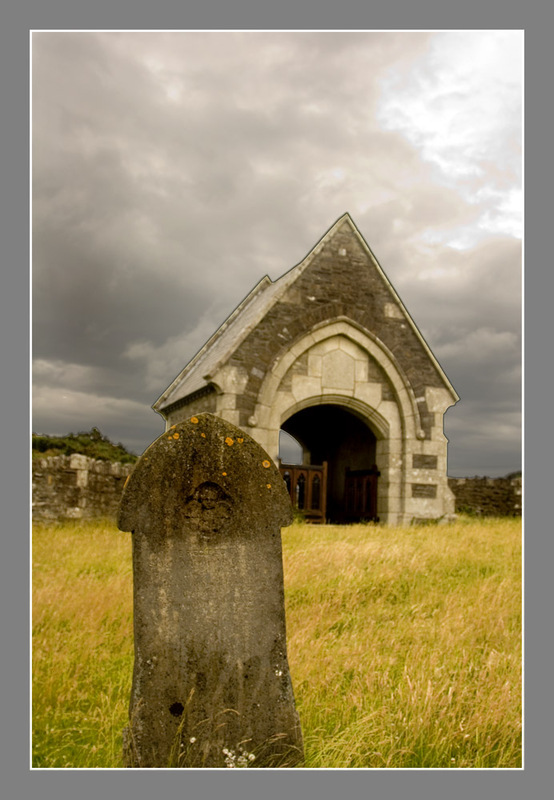 The cold cold hand of cruel death upon her good life fell……….. rest illegible. Sacred to the memory of Ellen the dearly beloved wife of Sergt E Webb 1st Wilts Regt who depd this life 26th Jany 1892 aged 22 years. Lord Jesus have mercy on her soul. In memory of Daniel O’Donnell born October 1846 died April 1877 Requiescat in Pace. Erected by Private John Fludgate 11th Company A. S. C. in memory of his beloved child Mary Anne who died June the 27th 1874 aged 3 years. © 2016 Matt McNamara. All Rights Reserved.